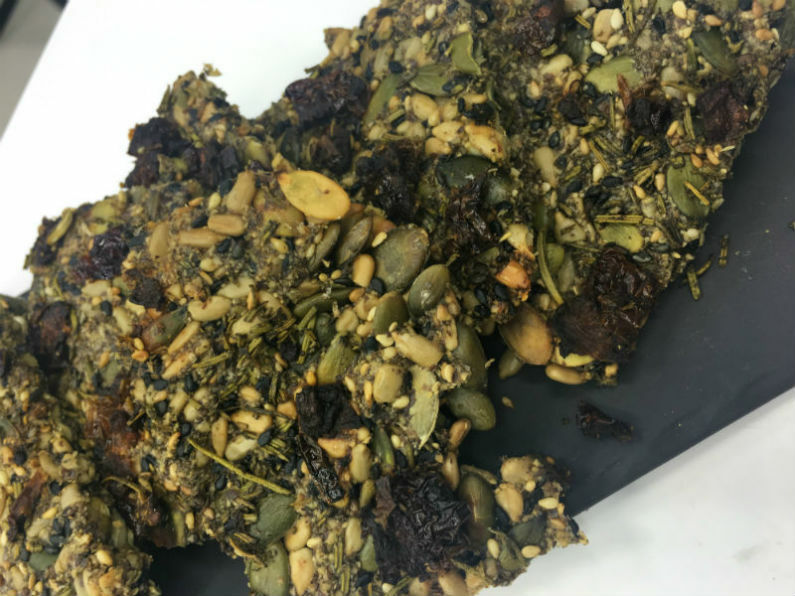 Try these homemade Granola Bars as prepared by Stef from Healthylicious. These are ideal as a breakfast or for a quick snack between meals. Lamb Brand Pumpkin Kernels (or any other type of seed), 2 tbsp. Lamb Brand Dark Chocolate Flakes, 1 tbsp. Coconut oil / tahini / peanut butter (or any other type of nut butter), 2 tbsp. Honey / maple syrup, 2 tbsp. 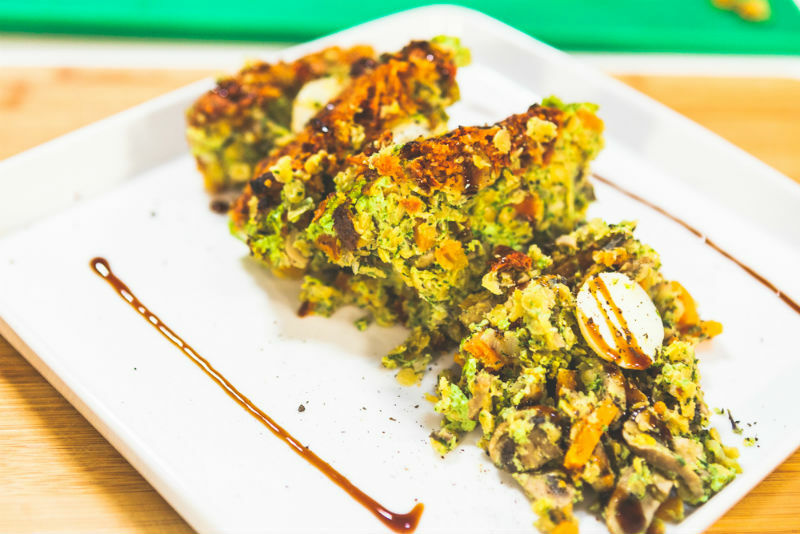 This Kale & Feta Muffins recipe sneaks nutrient-rich ingredients into a tasty treat. Who doesn’t love burgers? 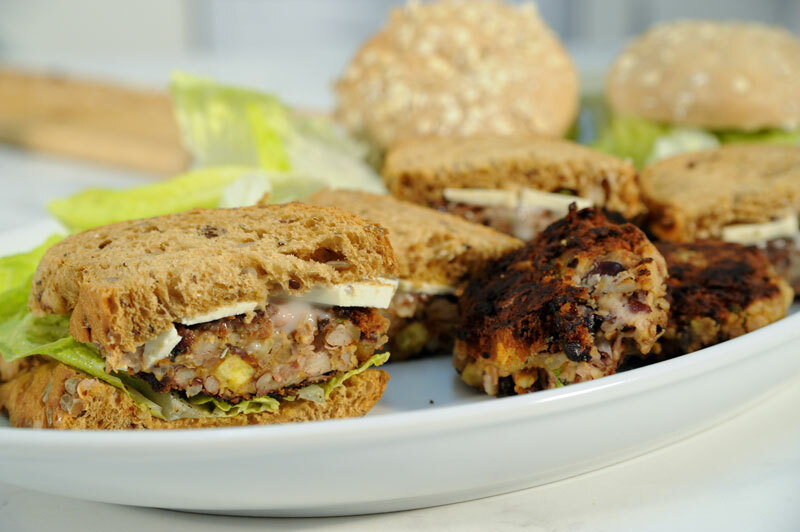 Try these Lentil Burgers, using a variety of Lamb Brand products. This recipe can also be served on salads or in a bun. 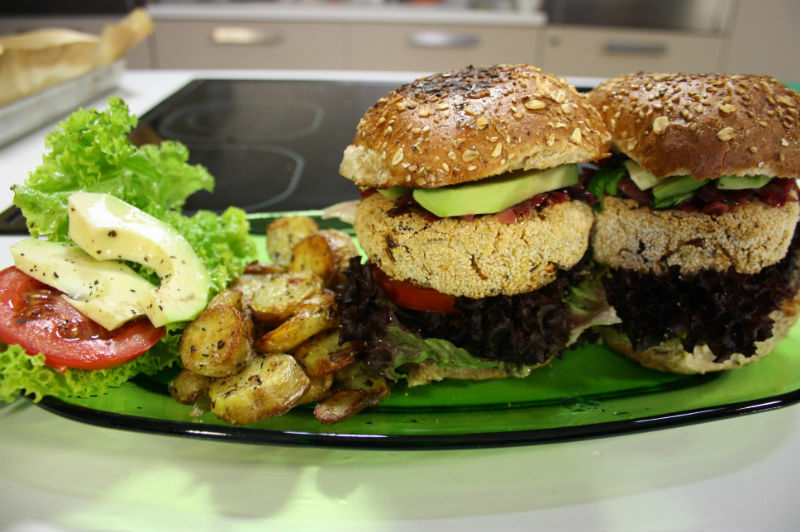 This is a hearty, nutritionally dense, easy vegan burger recipe. It is perfect for a BBQ night on the beach or when having family or friends over. Lamb Brand Cumin, 1 tsp. Lamb Brand Salt, 1 tsp. Lamb Brand Chili Powder, 1⁄2 tsp. Lamb Brand Pepper, 1⁄2 tsp. Lamb Brand BBQ Seasoning 1⁄2 tsp. Double Panda Soy Sauce, 1 tbsp. 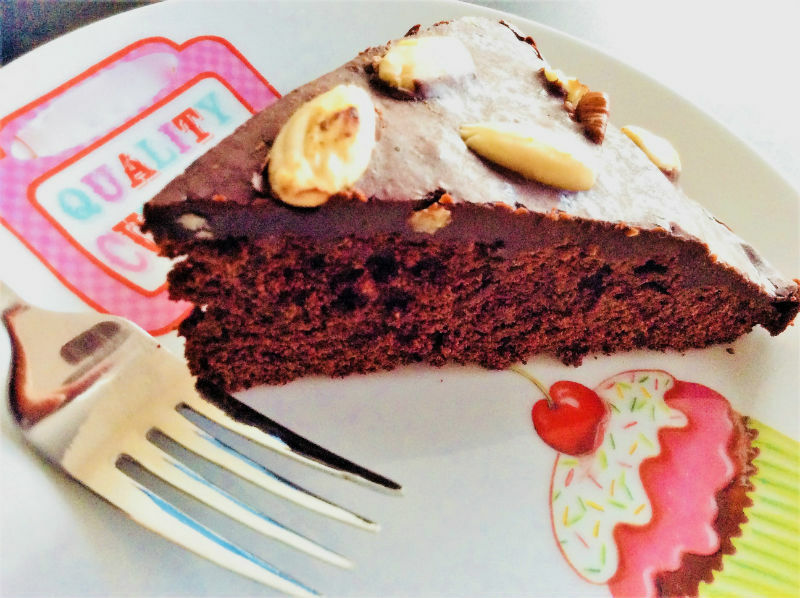 A really simple, yet very tasty Vegan Chocolate cake! Lamb Brand Bicarbonate of Soda, 1 tsp. 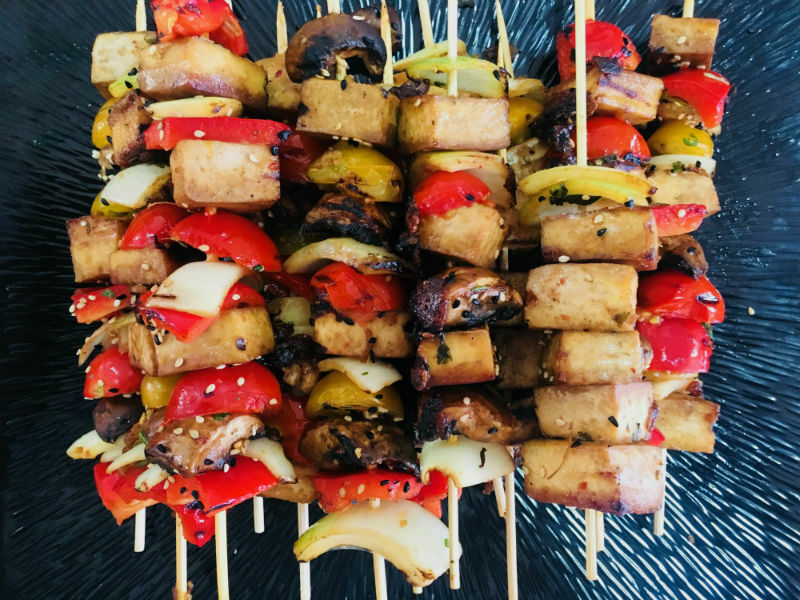 A vegetarian alternative ideal for BBQ lovers! Sunflower oil, divided for roasting & cooking, 5 tbsp. Lamb Brand Brown Sugar, 1 tsp. Double Panda Soy sauce, 4 tbsp. Sesame oil, 2 tbsp. Mirin / rice vinegar, 1 tbsp. Fresh ginger, minced or grated, 1 tbsp. Chilli paste / cayenne / red chilli, halved, de-seeded & finely chopped, 1 tsp. Lamb Brand Corn Flour, 2 tbsp. Lamb Brand Sesame Seeds, 2 tbsp. Chilli Flakes (optional), ½ tsp. 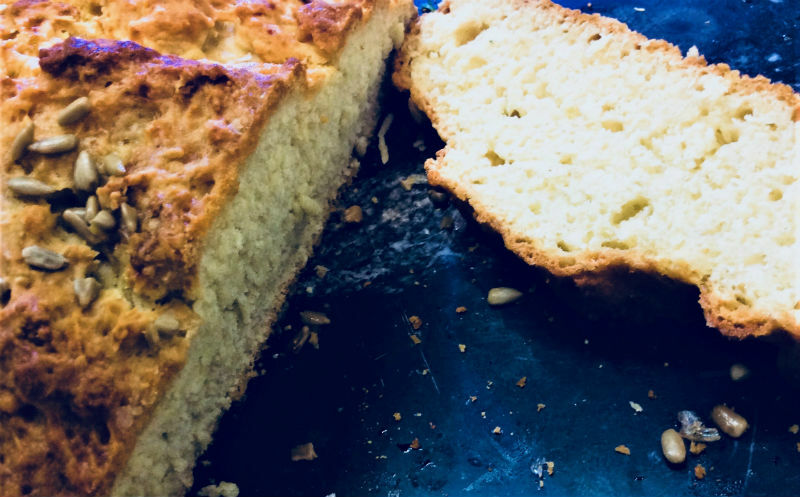 A quick bread is a bread that is made without yeast and can be prepared and baked with minimal time needed. 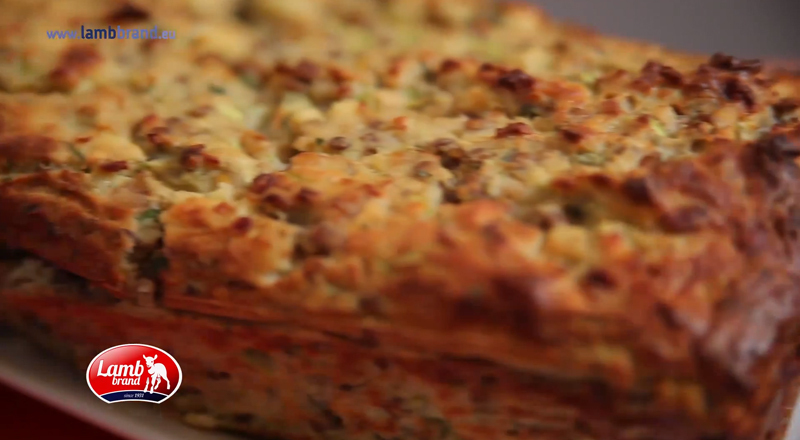 This quick bread recipe can be made savoury or sweet. Lamb Brand Bicarbonate of Soda, 1 1/2 tsp. Lamb Brand Salt, 1/2 -1 tsp. A simple and satisfying dinner – This vegetarian recipe features extra vegetables and brown rice. 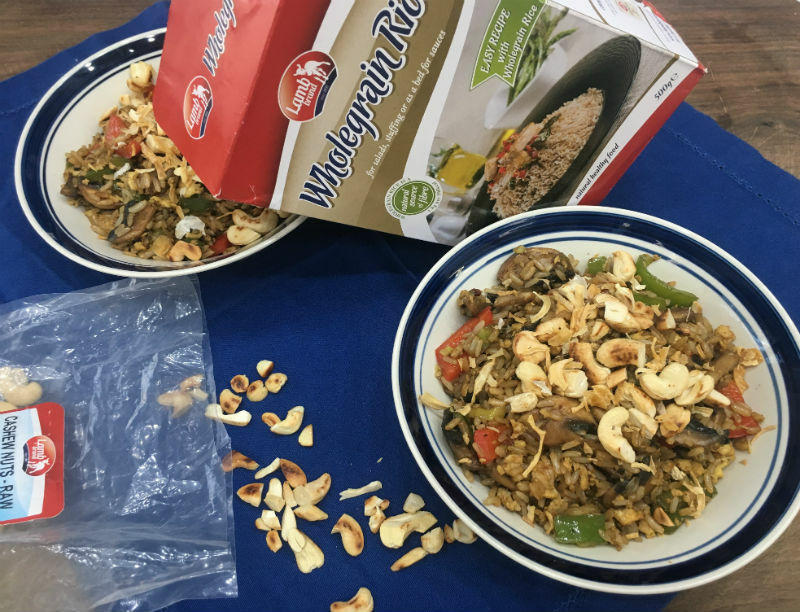 Great way to use leftover rice and vegetables thus helping you reduce food waste. Lamb Brand Star Anise, 1 tsp. Grape seed / Funflower oil, divided 2 tsp. + 2 tbsp. Toasted Sesame oil, 1 tsp. 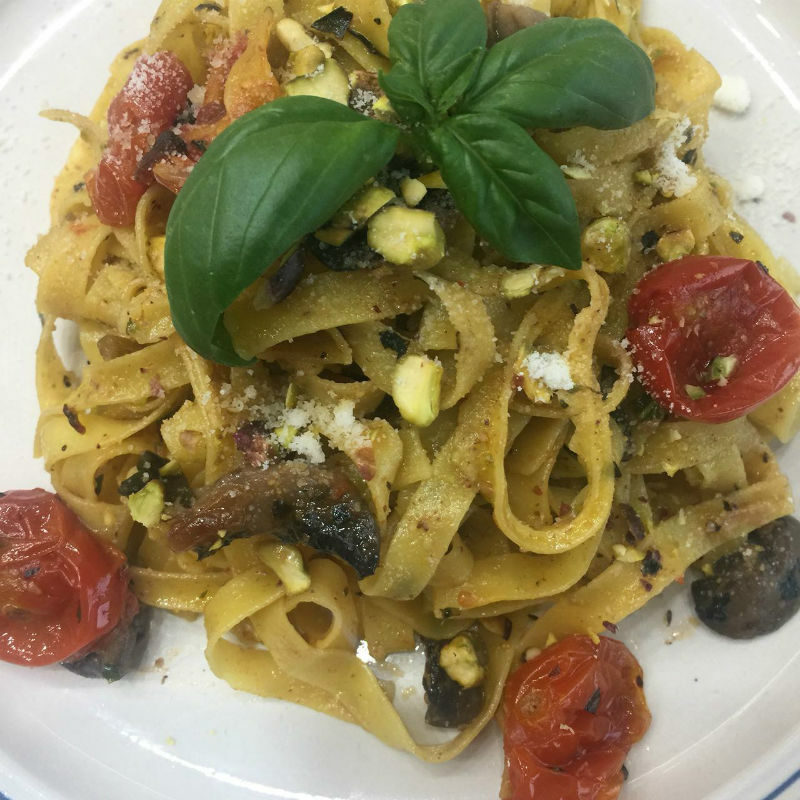 A quick cold pasta recipe with a no-cook sauce perfect for a hot summer day – Recipe features tagliatelle mixed with bright, flavourful, delicious pesto loaded with pistachio goodness! Lamb Brand Basil / Mint, 3 tbsp. A meatless yet filling and delicious burger recipe, perfect for the BBQ season. Lamb Brand Salt, 1½ tsp. Lamb Brand Smoked/Hot Paprika, 1 tsp. Olive oil, divided 3-4 tbsp. Refried beans are like the mashed potatoes of Mexican and Tex-Mex cooking. 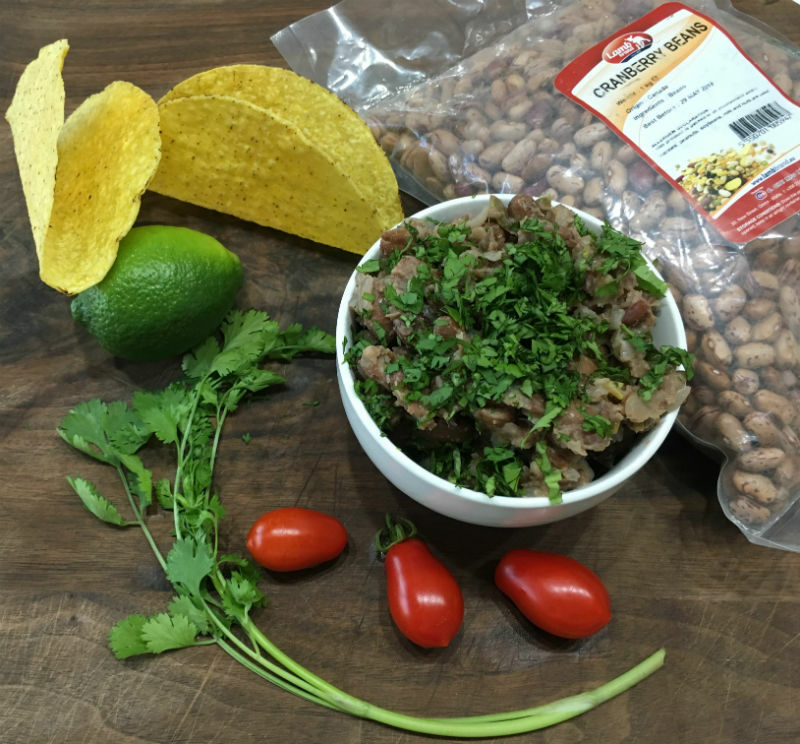 Very easy to preapre, refried beans make a delicious vegetarian side dish or tortilla filling. 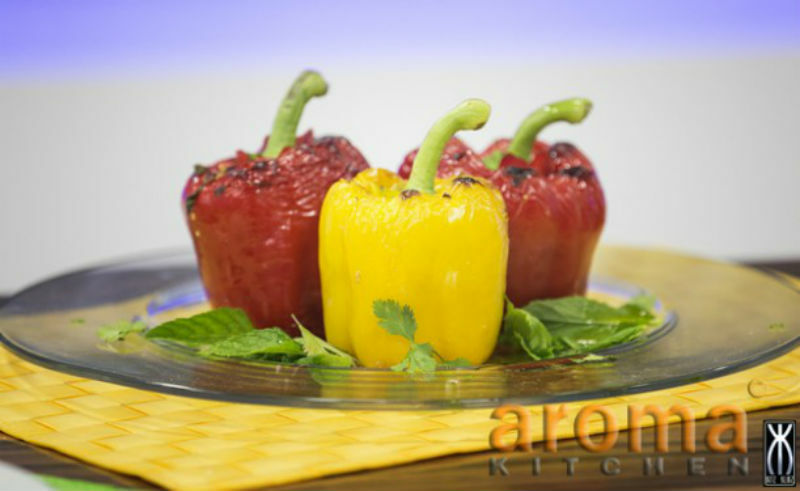 Served warm or chilled, this makes a delicious light meal or the perfect accompaniment to grilled meat, poultry or fish. Orange and hazelnut go wonderfully well together. 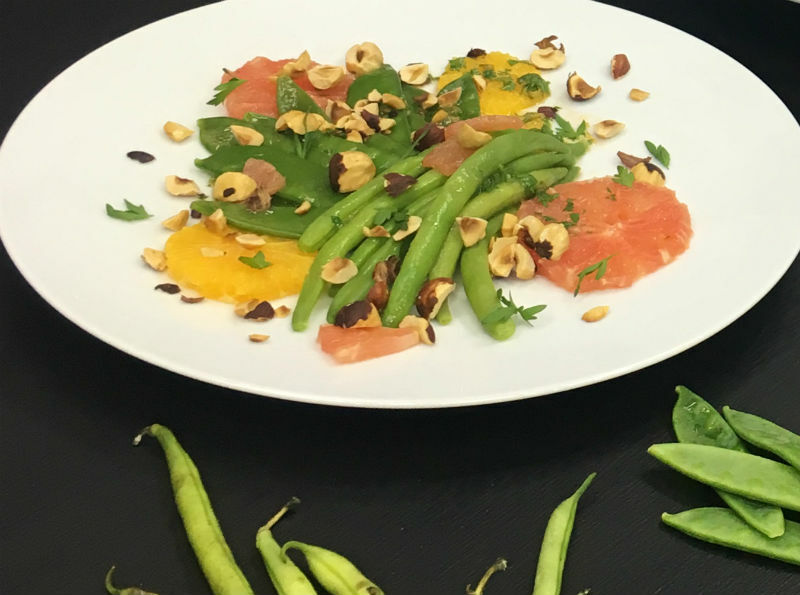 They offer a good balance of freshness and earthiness and the flavours are subtle enough to complement the beans and peas without overpowering them. The beans and peas can be cooked and chilled a day in advance and then dressed before serving. This quick and easy salad looks so pretty with the vibrant colours of the strawberries and peas. 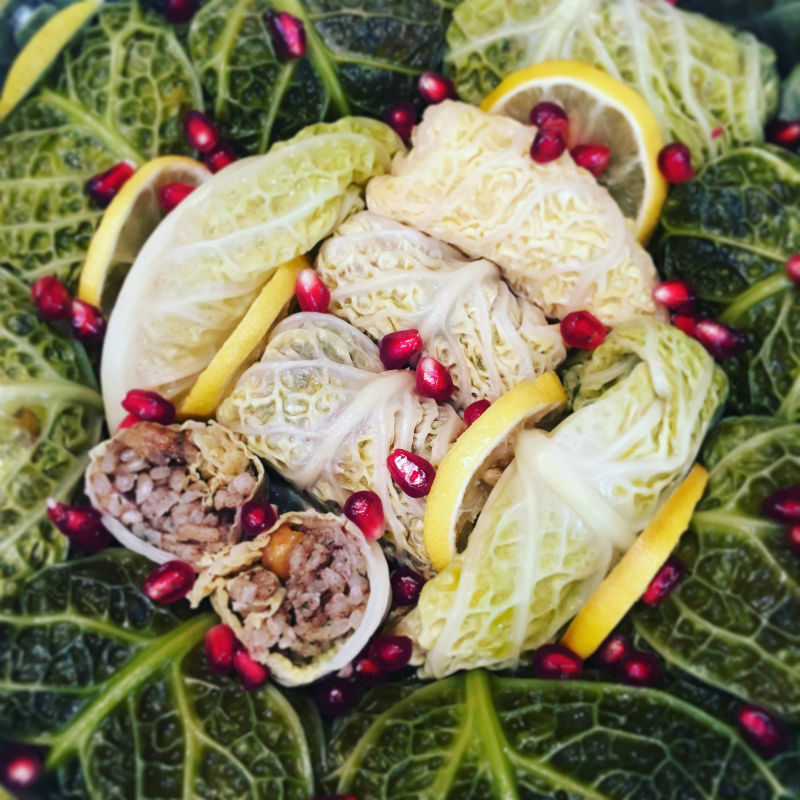 Served warm or chilled, this makes a delicious light lunch/dinner meal or the perfect accompaniment to poultry dishes or your favourite soup. Fresh Mint, finely chopped 2 tbsp. Avocado is nowadays being used in many different dishes, including desserts. 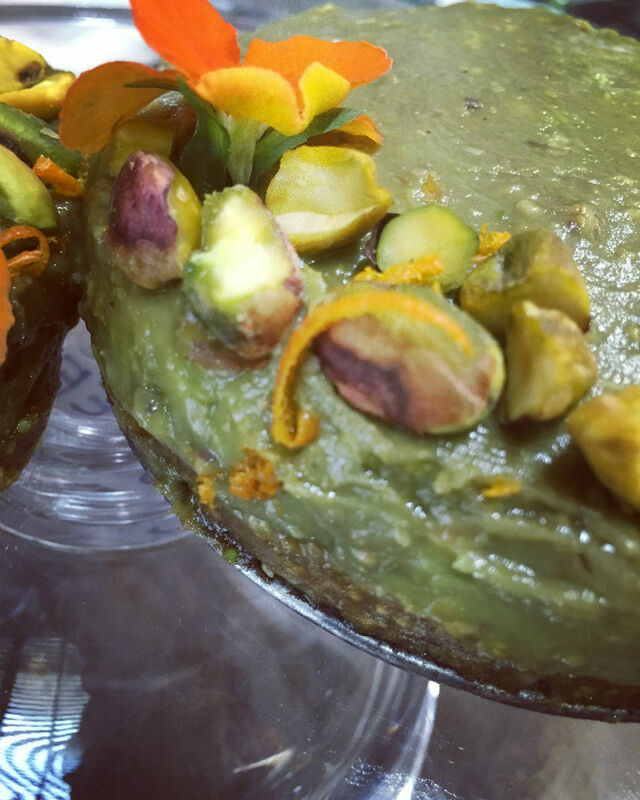 Try out for yourself this fantastic combination of Avocado Cheesecake with a delicious crunch Pistachio Crust! Maple syrup, 3 tbsp. Lemon juice, 1 tbsp. Orange blossom water, 1 tsp. Spring is finally here, so it is time for more refreshing food. 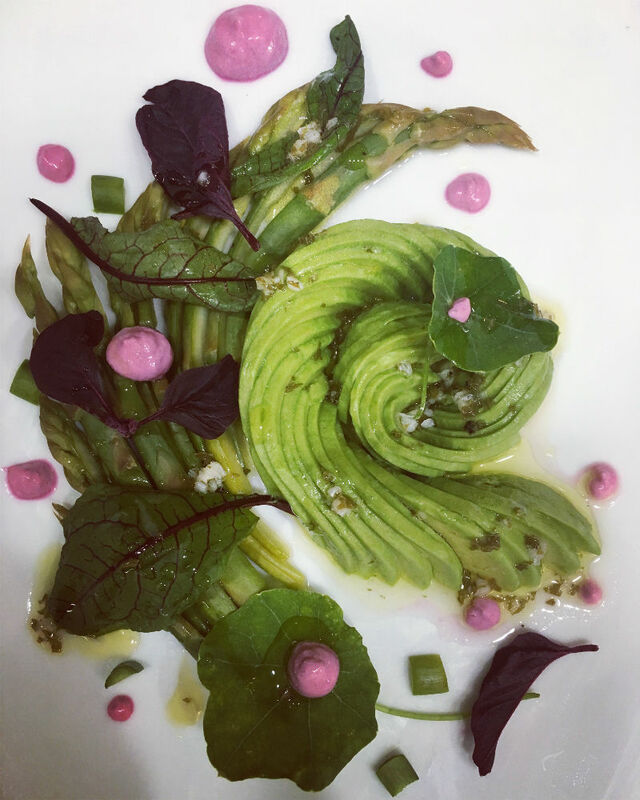 Try out this Quinoa, Avocado and Asparagus Salad with Beet-Infused Goat Cheese, and indulge in the spring taste whilst staying healthy! 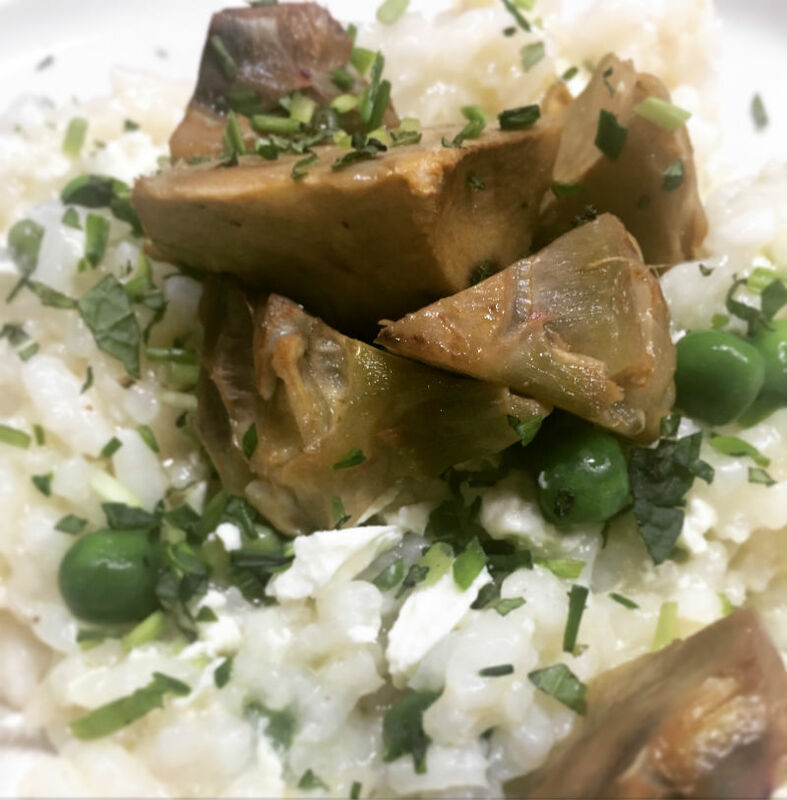 Artichoke risotto is a beautiful dish based on the classic risotto bianco and a mix of fine mediterranean ingredients. This recipe serves for 4. Lamb Brand Table Salt 1 tsp. Lamb Brand Dry Chives 1 tsp. Lamb Brand Dry Mint 1 tsp. These Gluten-free Seed Crackers are perfect topped with some avocado and tomato as an afternoon snack. Lamb Brand Salt & Pepper 1 tsp. 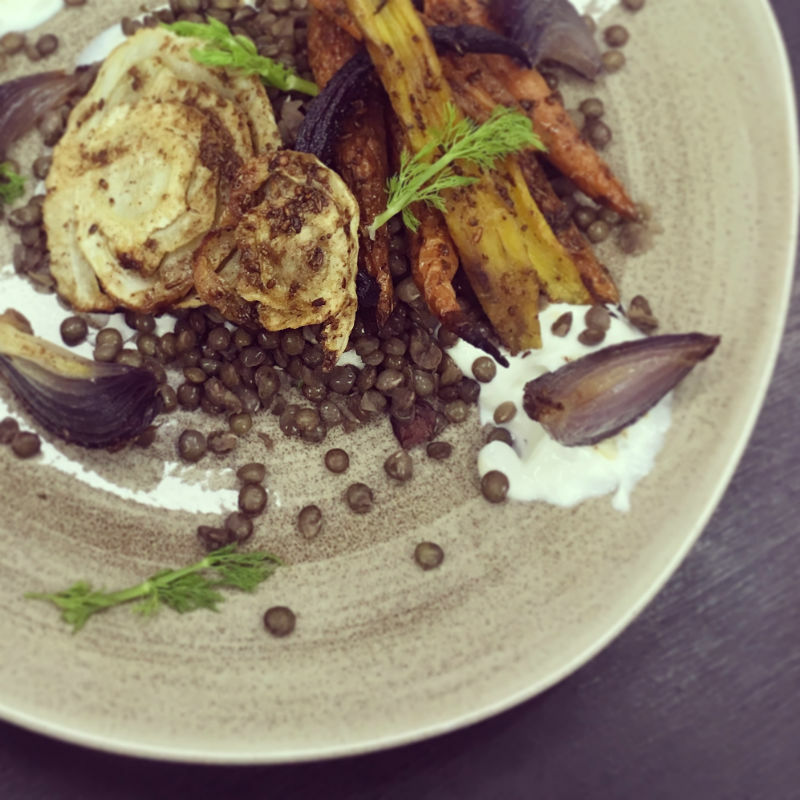 Try out this yummy roasted vegetable and lentil salad topped up with yoghurt dressing. Its simply divine. Lamb Brand Cumin Seeds 1 tbsp. Lamb Brand Fennel Seeds 1 tsp. Lamb Brand Cinnamon ¼ tsp. Lamb Brand Smoked Paprika ¼ tsp. Lamb Brand Ground Coriander ¼ tsp. Olive / Coconut Oil 4 tbsp. Lemon Juice • 1 tbsp. This mushroom and lentil ragu is a hearty vegetarian sauce that will leave even the hungriest eaters satisfied. 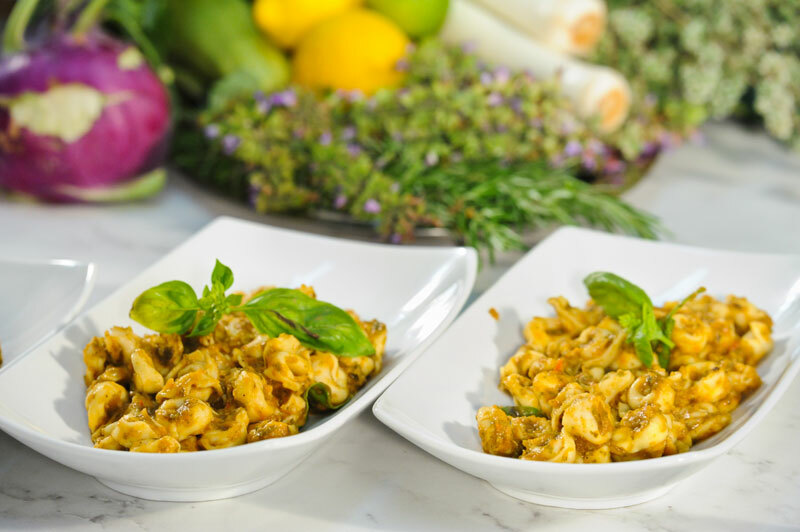 Serve over cauliflower slices or your favorite pasta! Lamb Brand Oregano or Mixed Herbs 1 tsp. Lamb Brand Corn Flour 1 tsp. Lamb Brand Chilli Flakes ¼ tsp. Lamb Brand Salt 1/2 tsp. Honey / Agave 1 tsp. Makes for a flavourful side dish but is also a meal unto itself. Chickpeas or lentils are added as a protein source, making this a perfect main course for vegetarians / vegans. Lamb Brand Ground Coriander 3 tsp. Lamb Brand Ground Cumin 2 tsp. Lamb Brand Turmeric ½ tsp. Lamb Brand Chilli Flakes ½ tsp. Lamb Brand White Granulated Sugar 1 tsp. 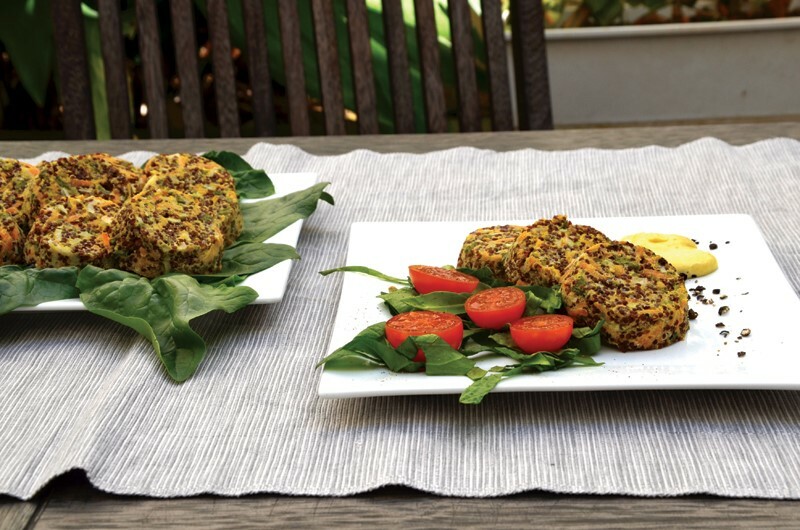 These little patties are packed with flavour from the fresh basil and Parmesan cheese! These burgers make the perfect portable lunch or dinner for a springtime picnic. Furthermore they are a great source of protein. 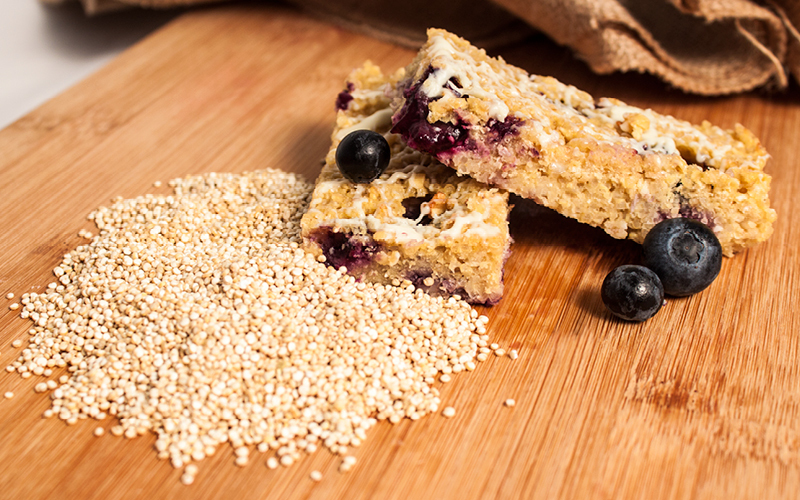 Try out these flourless quinoa breakfast bars, filled with fresh juicy blueberries and with a hint of tangy lemon. 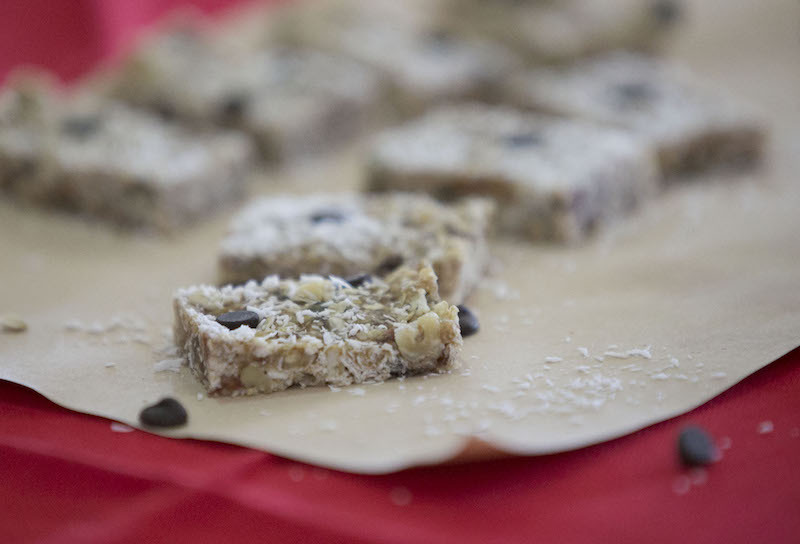 A fill-you-up bar that’s perfect for oatmeal, fruit and on-the-go breakfast lovers alike. A wrap is a type of sandwich alternative, made with a soft flatbread rolled around a filling. Here is an easy way with a difference for you to try. A quick and easy idea, low in fat lunch-box idea to take to work. 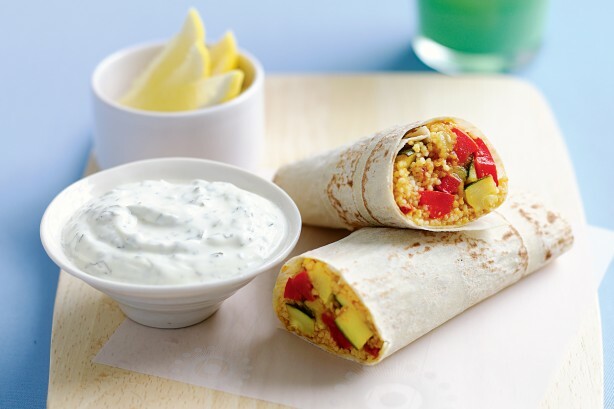 Packed with tasty vegetables and aromatic spices, these roll ups will give you the energy to face any challenges that come your way. 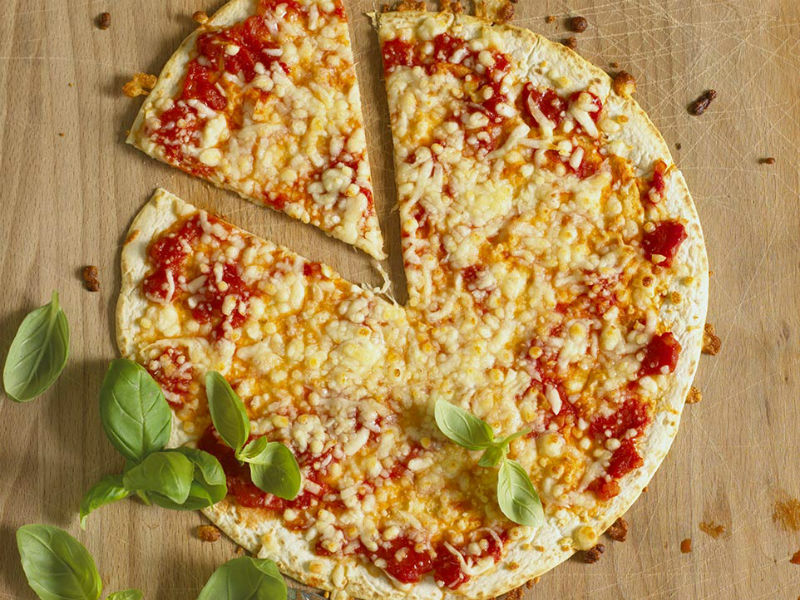 These personal pizzas take almost no effort—simply top the tortillas with some tomato sauce and grated mozzarella and bake. Add a touch of oregano if you fancy some or your prefered ingredients! It is ready in minutes! 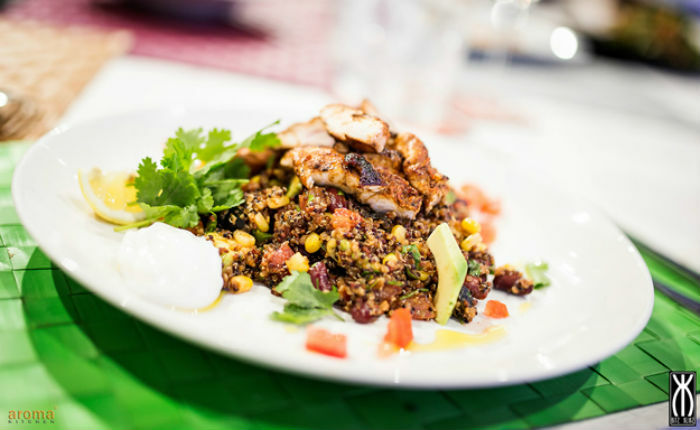 This Quinoa Salad is great as a side dish for supper or a main course for lunch, this salad gets its fresh taste and pretty colour from curry powder and the mix of ingredients that blend well all together. 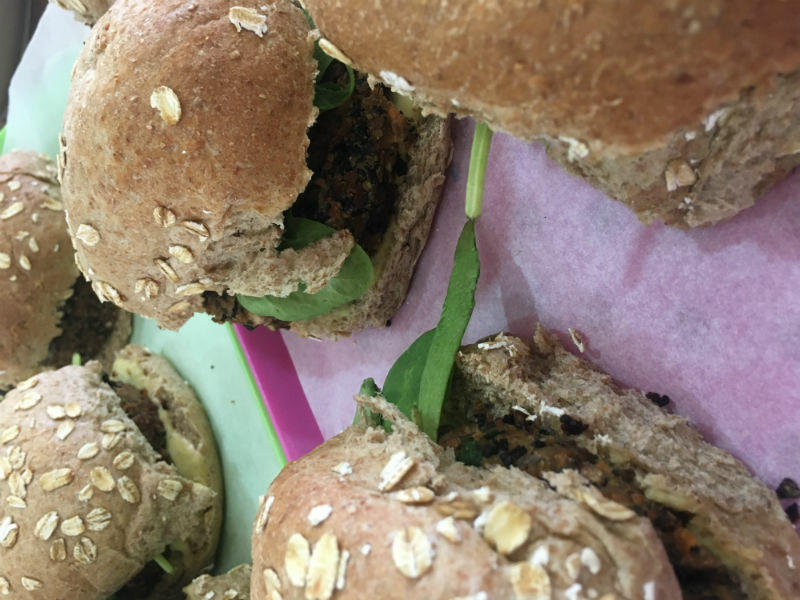 These veggie patties are made of a delicious combination of kidney beans, sweet potato and oats, then coated with breadcrumbs. 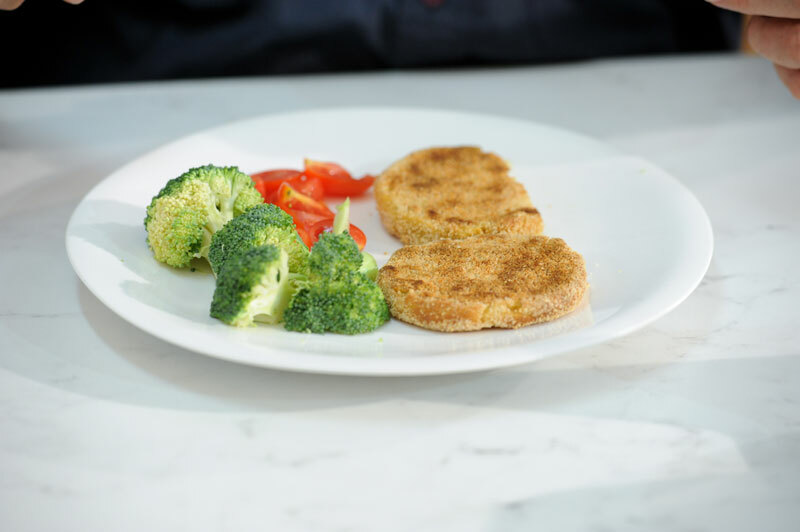 Try out these healthy patties, you wont regret it! This very easy recipe is perfect for all your family. 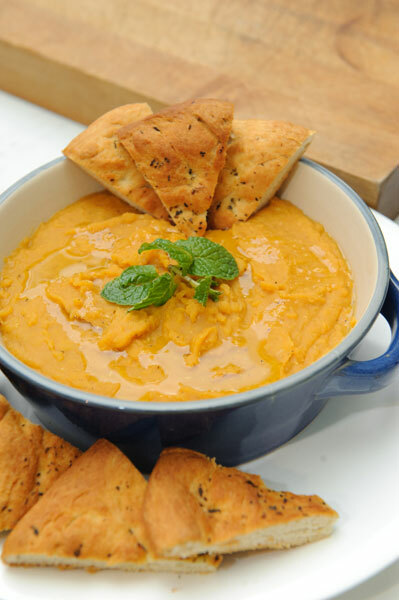 It uses butternut squash instead of pumpkin, which are equally available, and easier to cook. Try it out! 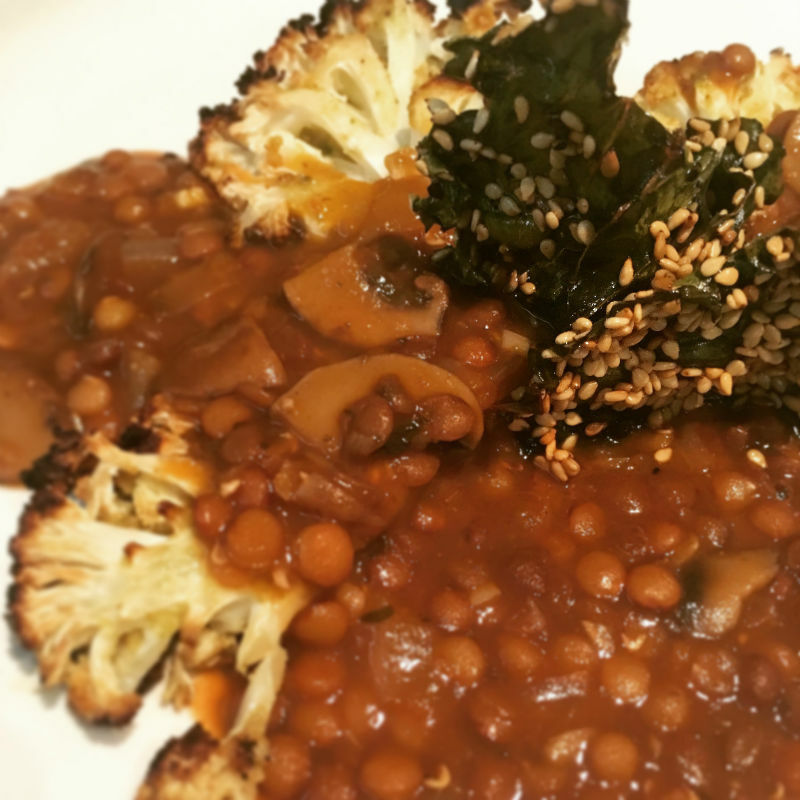 A healthy vegan recipe that you all must try! Suggested Toppings: Toppings that are not too moist are best. You can always pre-roast veggies to reduce moisture. Topping Ideas: Sliced bell peppers, roasted zucchini or eggplant, olives, sun-dried tomatoes, thinly sliced red onion, artichoke hearts, capers. If you want to liven up your Sunday meal, how about whipping up a mouthwatering pasta dish: spinach and ricotta lumaconi with roasted red pepper sauce. Peas and Cheese turnovers are baked in a homemade pastry. These turnovers are certain to put you in the mood for fall! 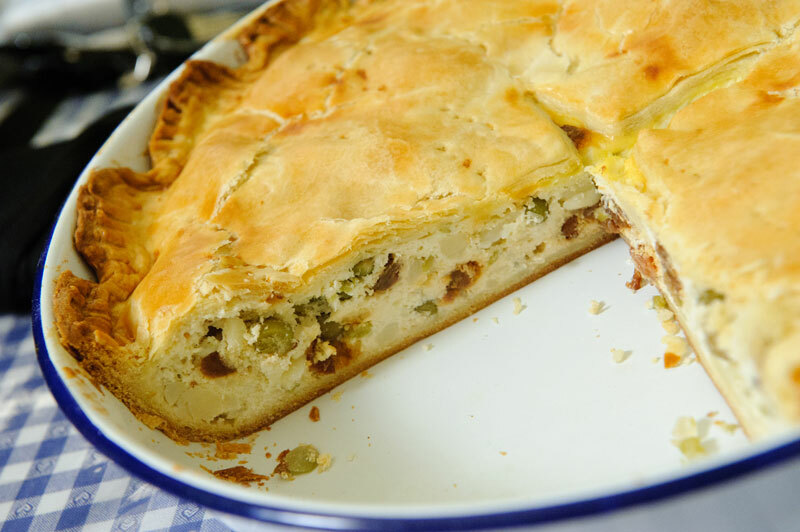 Rich wholemeal pastry packed with a potato, onion and cheese filling. We’ve added some baby spinach leaves and a hint of nutmeg. This recipe is great for using up leftover boiled potatoes or even mash. Enjoy! 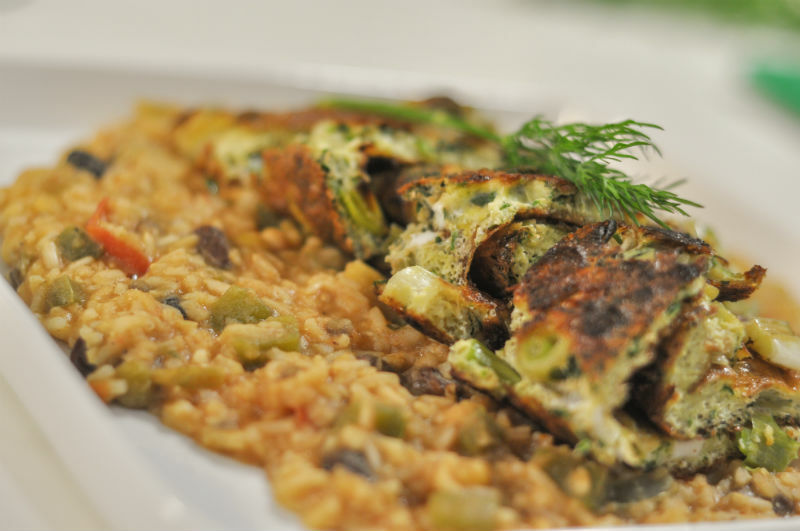 Try out these savoury oat pancakes and top them off with some curried peanuts and ricotta. 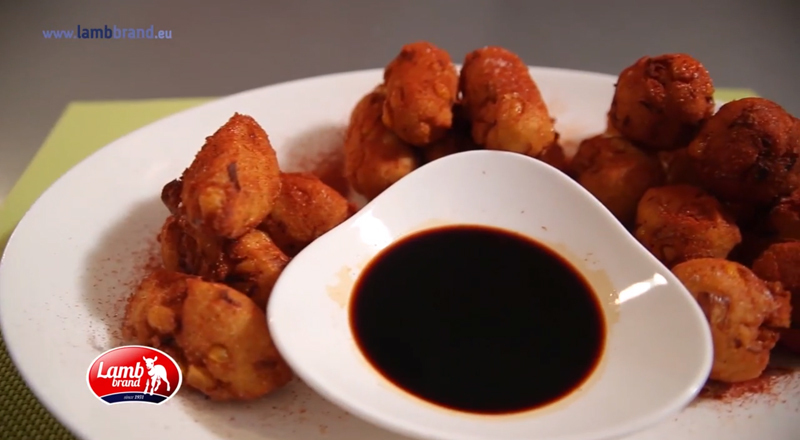 Thumbs up for this quick, easy and delicious recipe! 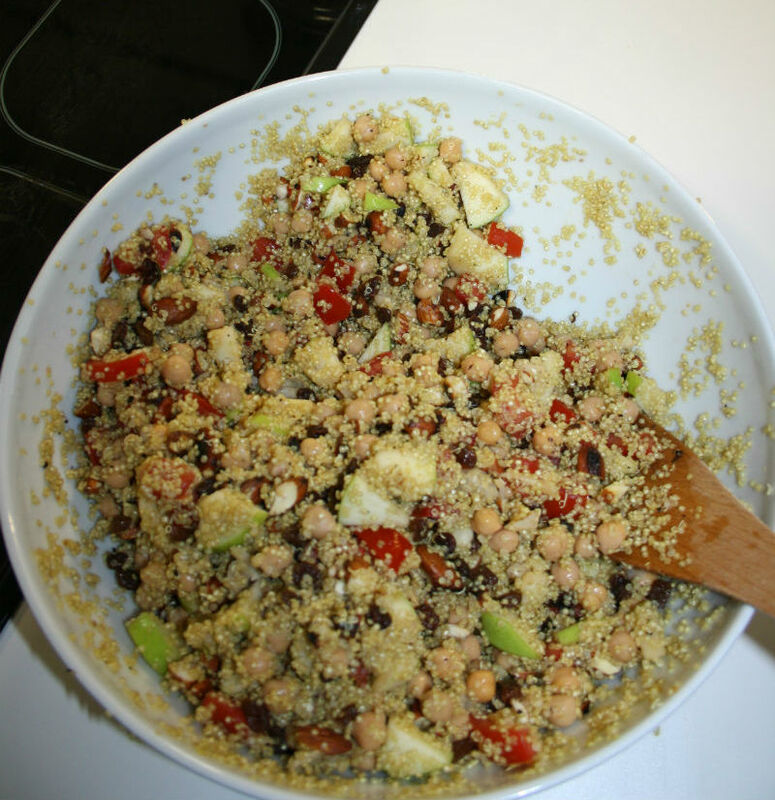 This vegetarian salad with a hint of taco seasoning is a delicious, family friendly quinoa recipe! 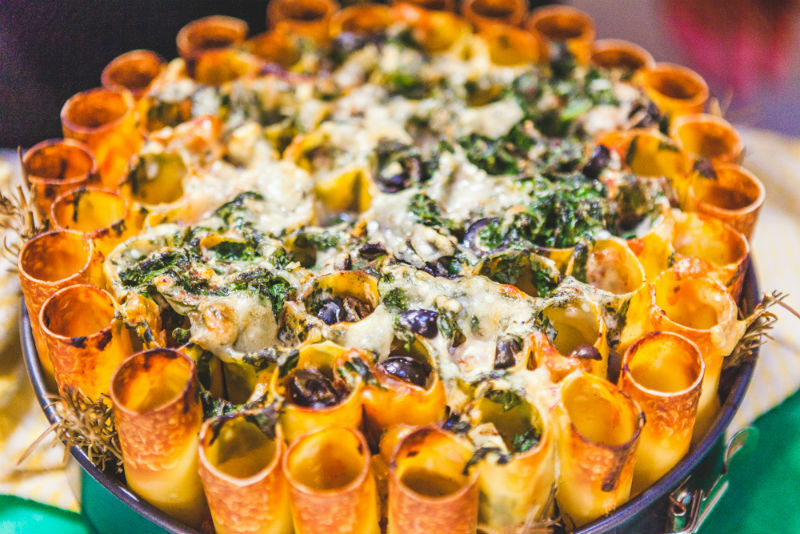 This gorgeous vegetarian dish is a real crowd pleaser, it is a great festive pasta dish filled with spinach, tomatoes, olives, chickpeas and cheese. Placing the cannelloni tubes standing up on their ends it gives a beautiful textured crunch and honeycomb like appearance. Its worth a try! 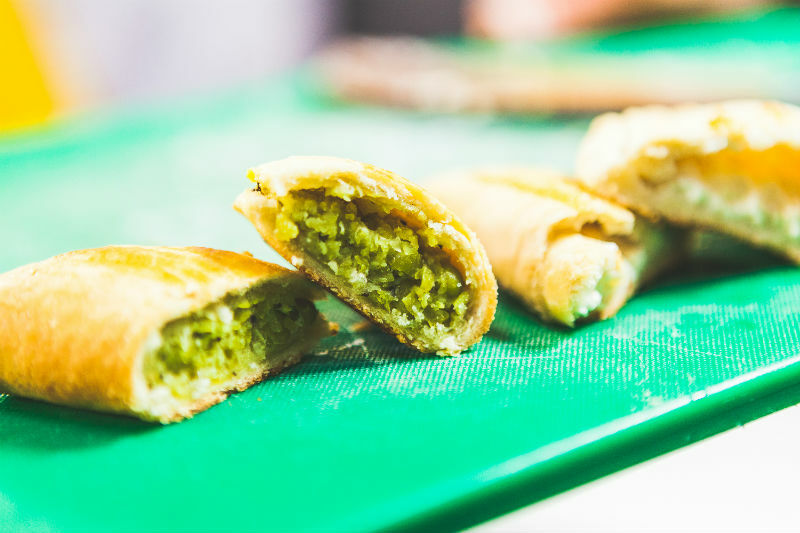 Having one of these vegetarian pastry rolls in the freezer is ideal for entertaining the guests. 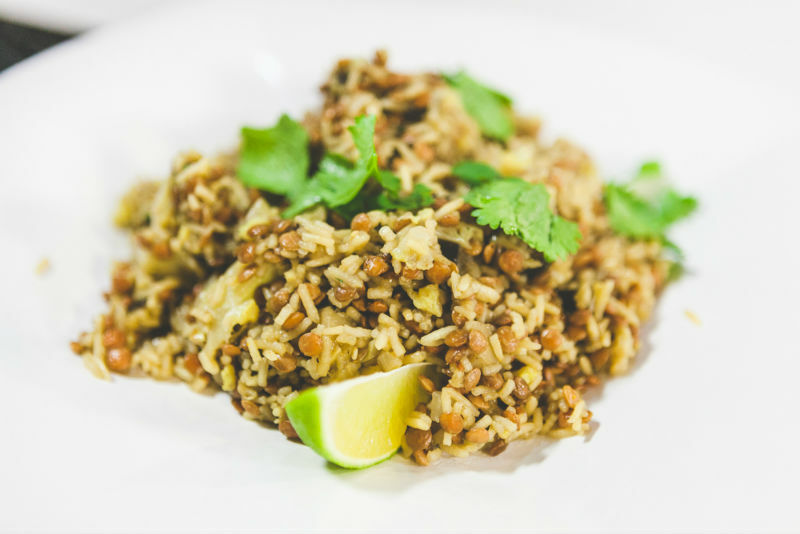 Try out this easy healthy pilaf with cauliflower and lentils. You can also swap lentils for chickpeas. 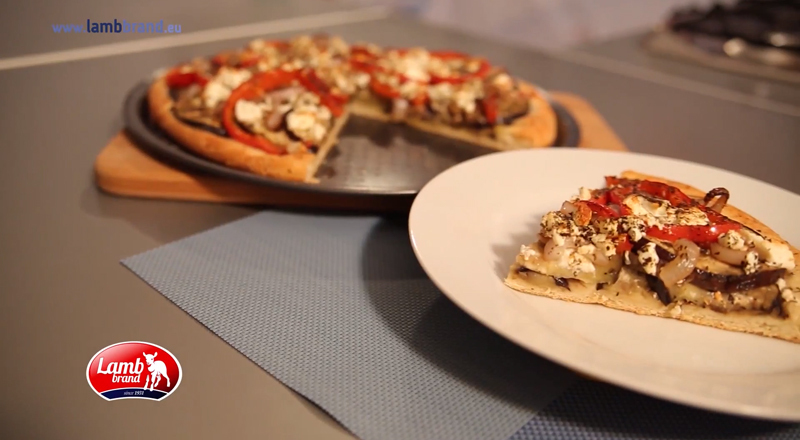 Try out this mini pizza with a difference. 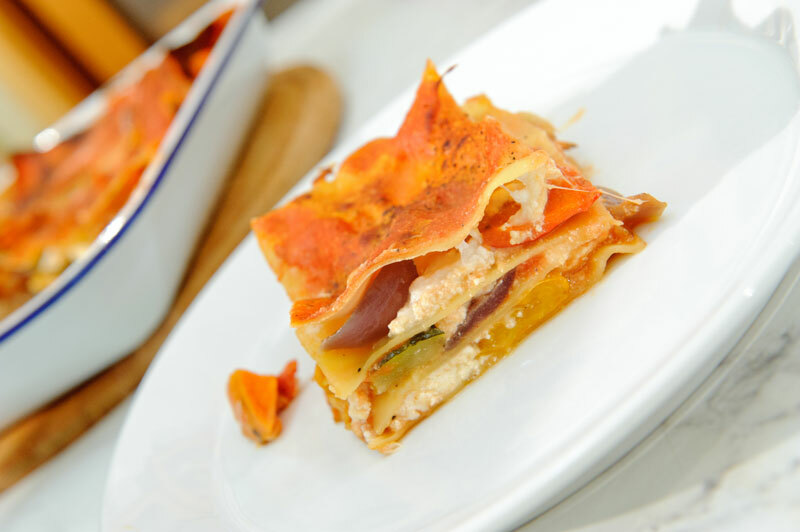 Quick and easy to prepare and ideal for anyone who is following a vegetarian diet! 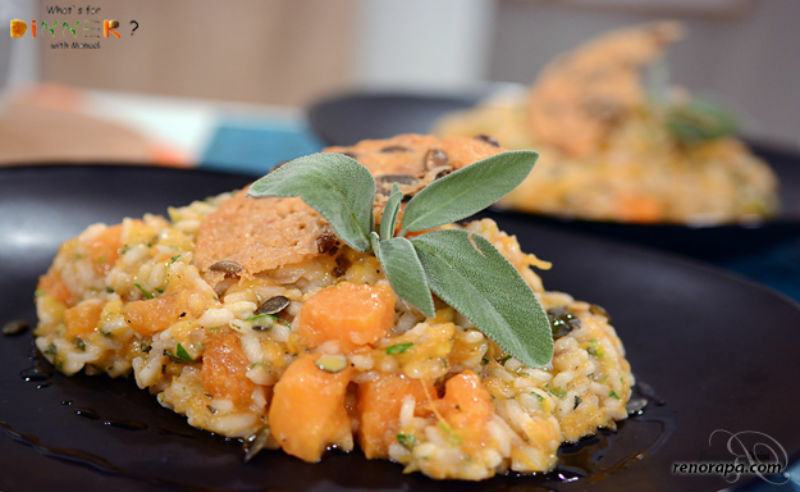 Fast, fresh and simple yet stylish, this pumpkin risotto takes no time to cook. 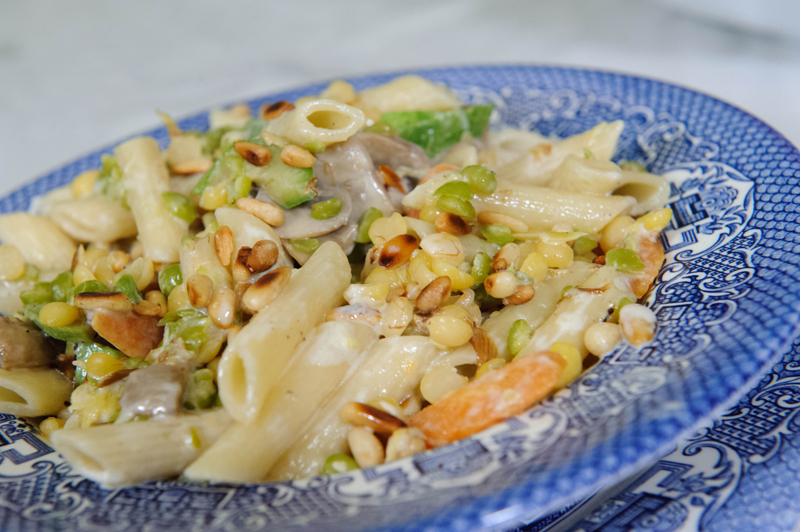 Try this all-star, easy to follow recipe for Glowing Green Pasta Primavera. This recipe is ultra-fresh, making it ideal for the hot season. 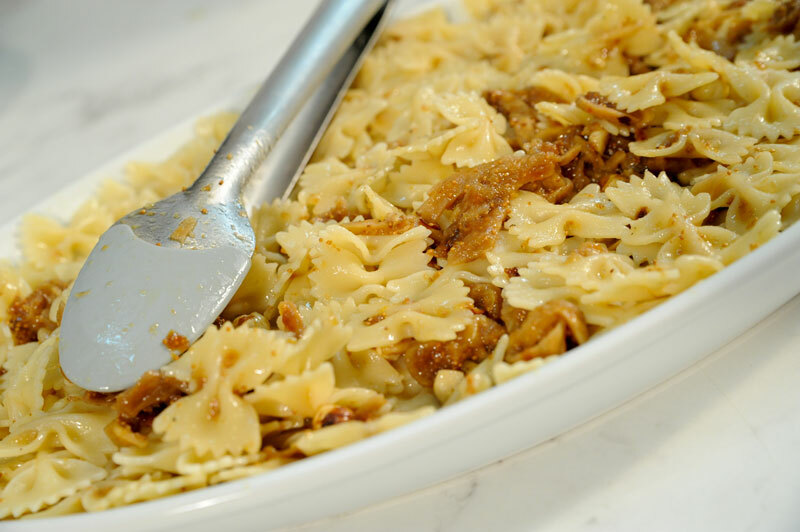 This quick and easy version of the classic baked pasta dish can be made with dried pasta tubes. 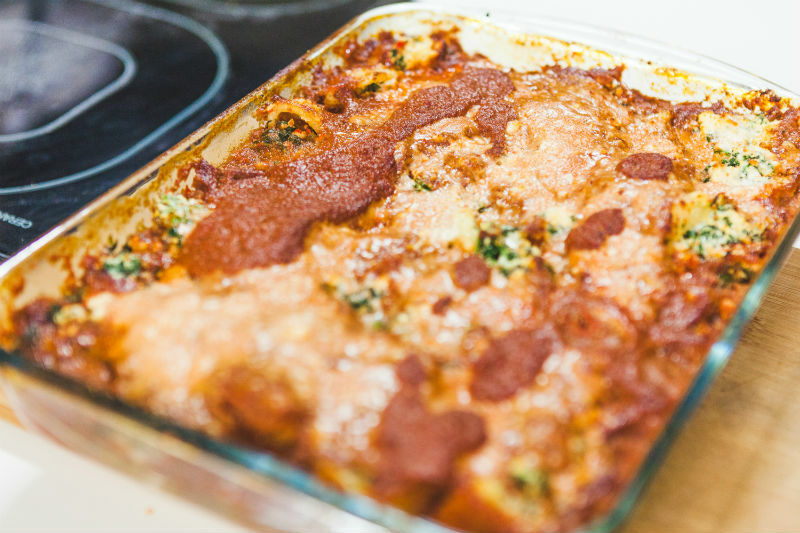 This recipe is perfect for vegetarians who will love the spinach and cheese filling and tomato sauce. Take your taste buds on a Mediterranean fling no matter what time of year. 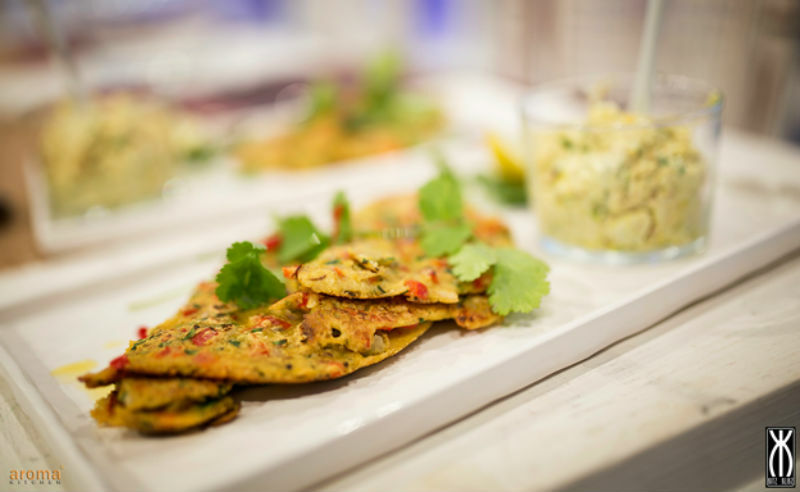 These savoury pancakes filled with fresh veggies and feta cheese are absolutely lovely. 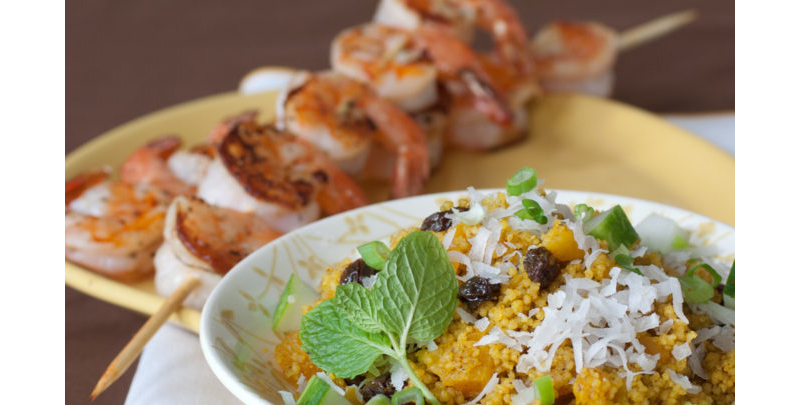 Herbs and seasoning set off the sweetness of the butternut squash in this recipe. Just let the oven work its magic. 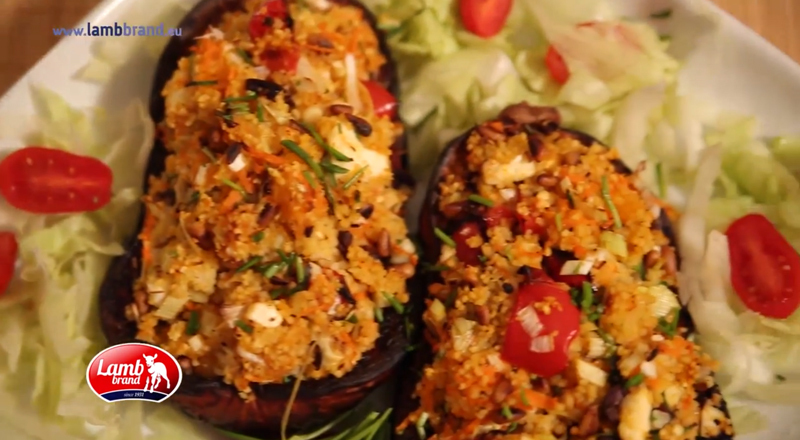 This recipe is an ideal dish for vegetarians. 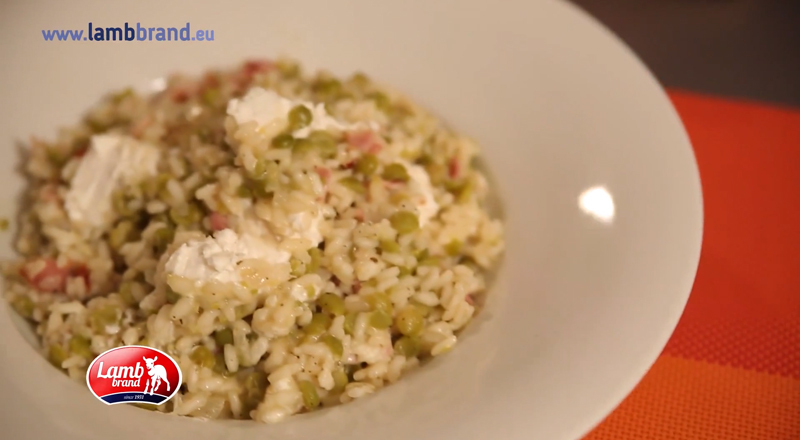 Ths Mixed Green Pilaf is quick, easy, and really delicious. 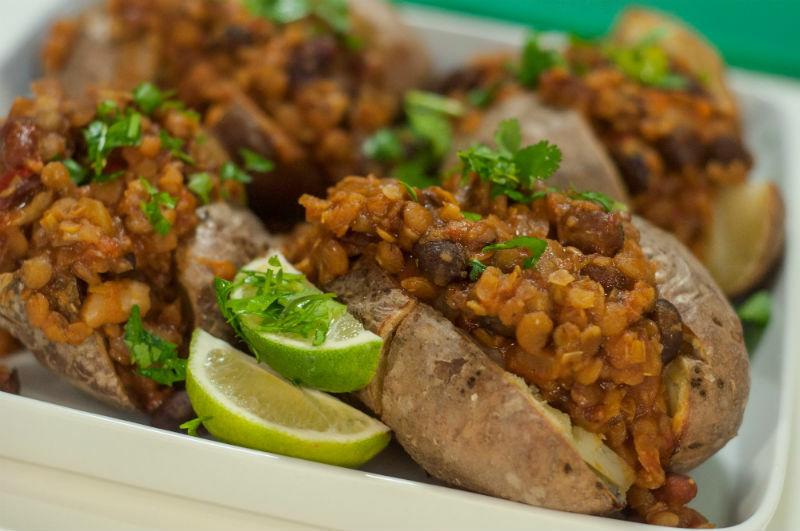 This veggie chilli is delicious, filling, and nutrient-packed. But what really makes this chilli really stand on its own is the secret spice combination. 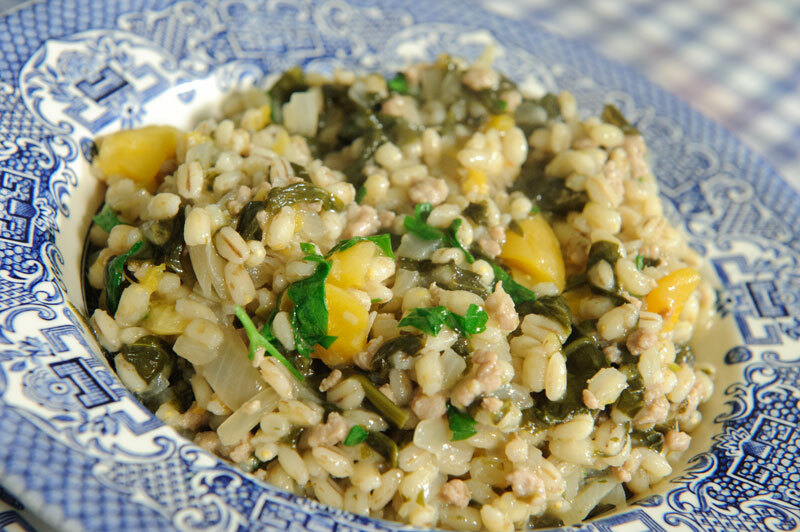 This lovely nutty rice with spinach salad recipe has a great crunchy texture for your summer taste buds. These little sandwiches pack a whole lot of flavour! 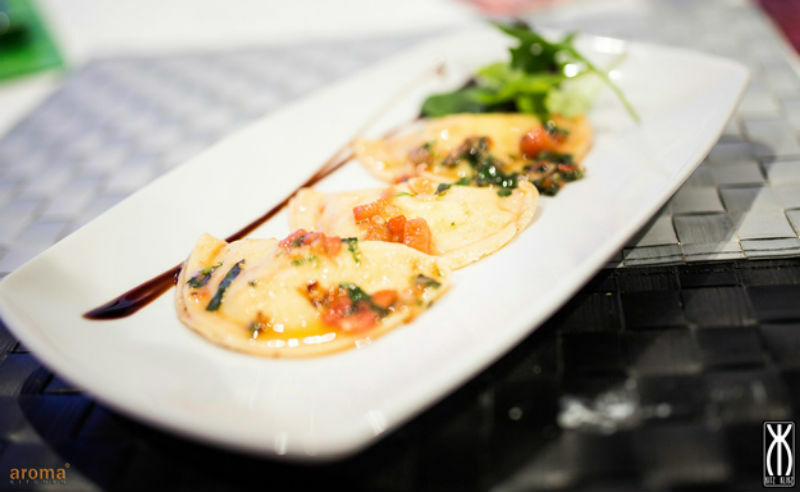 Add a hint of balsamic vinegar for the perfect finishing touch! Like its smaller cousin courgette, chunky marrows are great roasted with a healthy filling such as lentils and spinach. A quick and light summer pasta recipe featuring grilled zucchini, irresistible black beans, and ripe tomatoes. Perfect for dinner out on the porch! There's no ground beef in this hearty, simple pasta sauce, but there is a lot of flavorful browned cauliflower, spinach, and garlic. 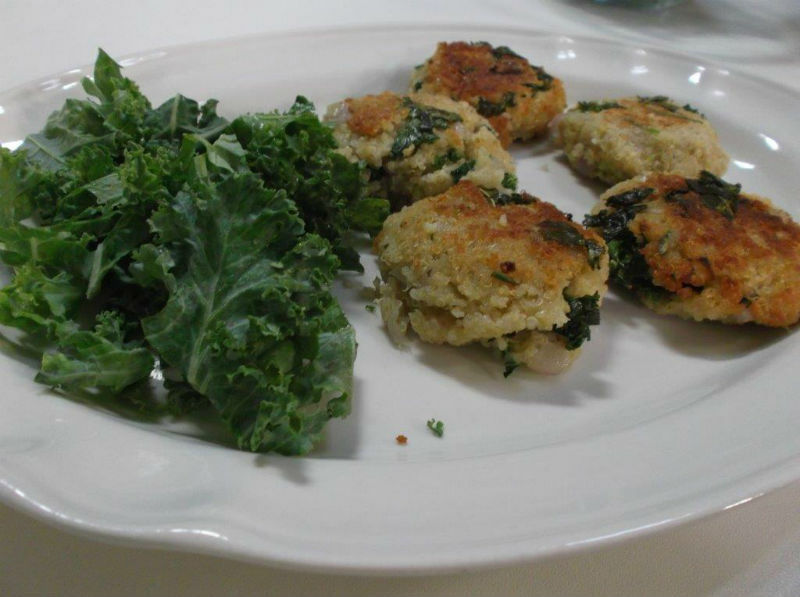 Transforming leftover quinoa into hearty little savory cakes is brilliant. If you do not have kale, try spinach, broccoli, or mushrooms. 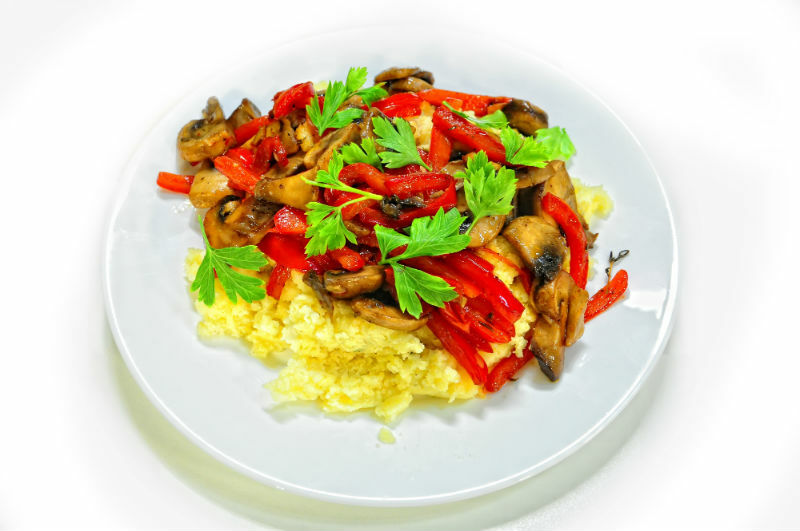 Savoury blue cheese polenta topped with delicious veggies makes a comforting and satisfying meal. 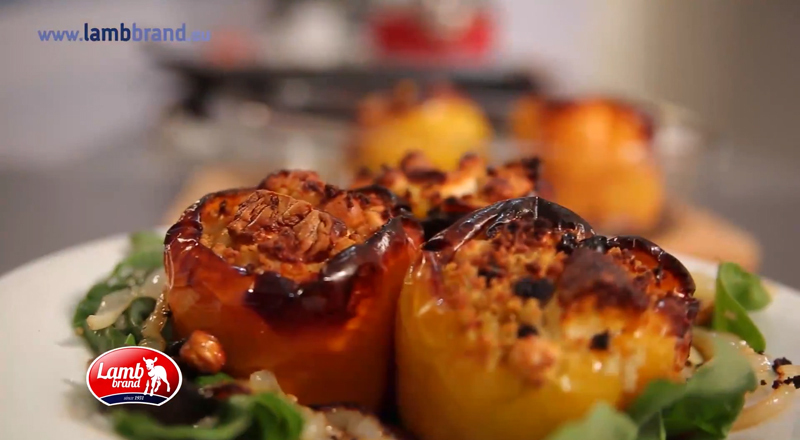 Serve these vibrant stuffed peppers to veggie dinner or weightwatcher guests. 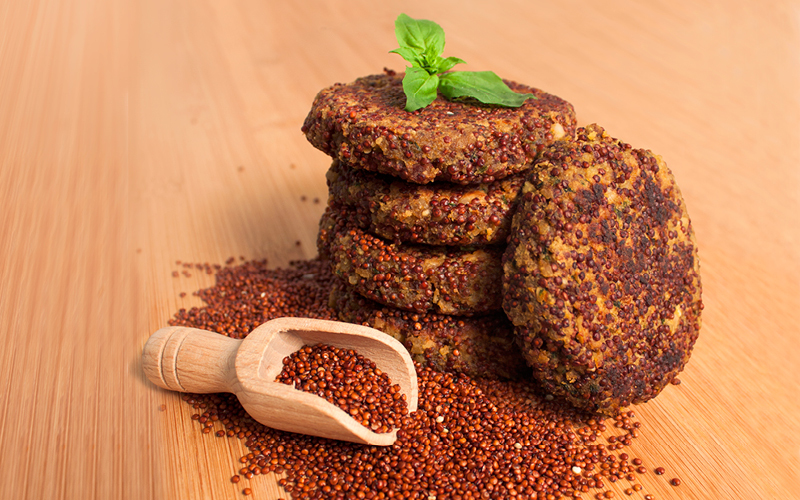 These lovely quinoa patties are the perfect size for little fingers and ideal as a snack to eat over your work desk when you want to munch that little something. 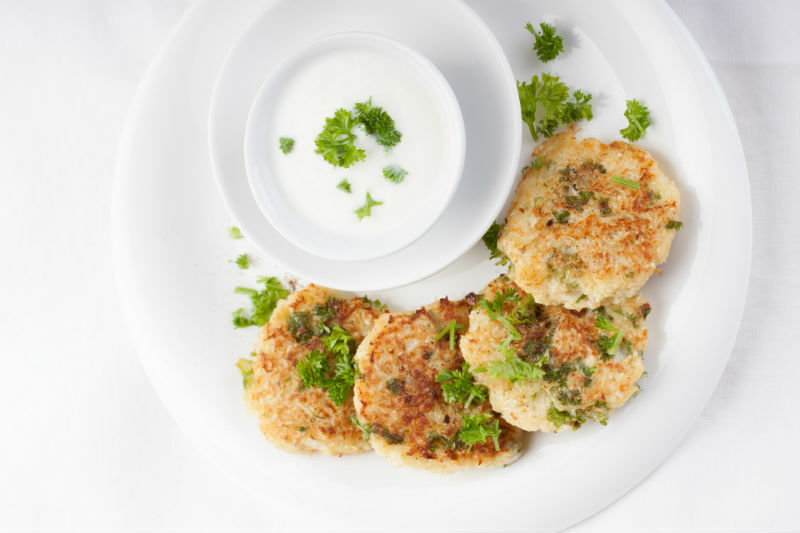 Make them a little smaller and serve them during a party accompanied with a lovely cheesy sauce! into your or your family’s diet because you don’t even notice. Ideal for dinner, brunch or lunch! 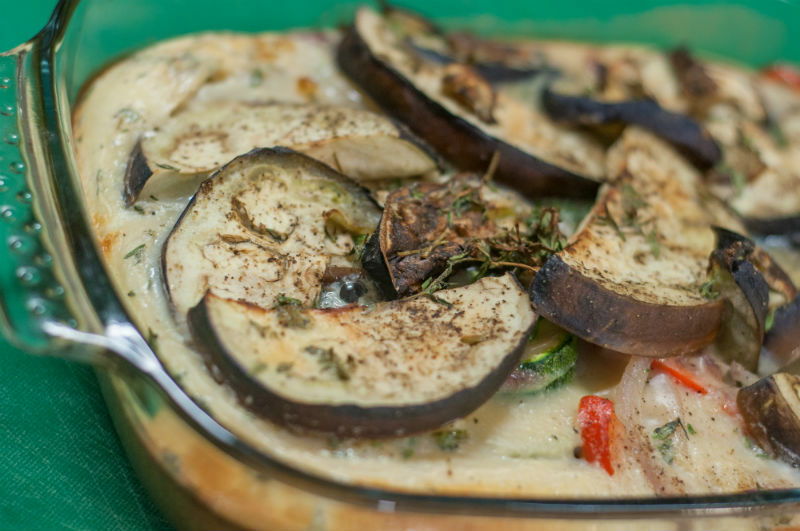 A very hearty but yet healthy vegetable dish. Bulgur balls soak up the sauce and give this dish a lovely bite. 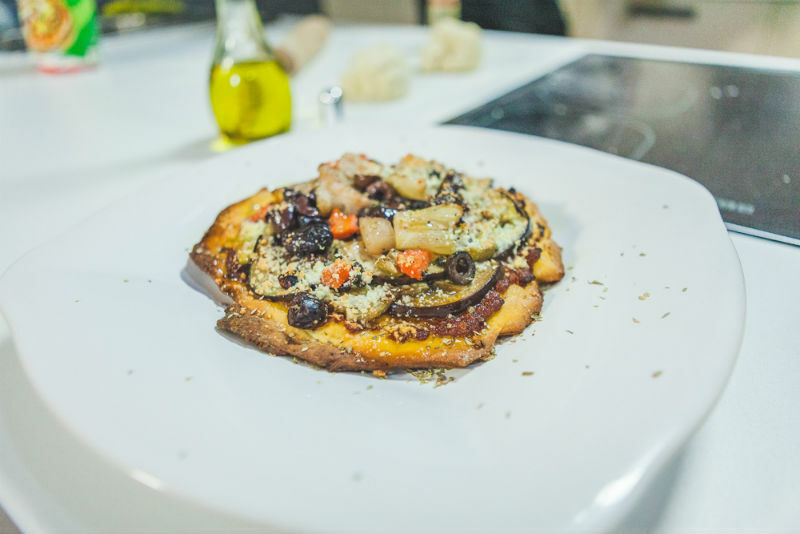 This clever vegetarian tart uses polenta as a base for rich goat's cheese and balsamic mushrooms. 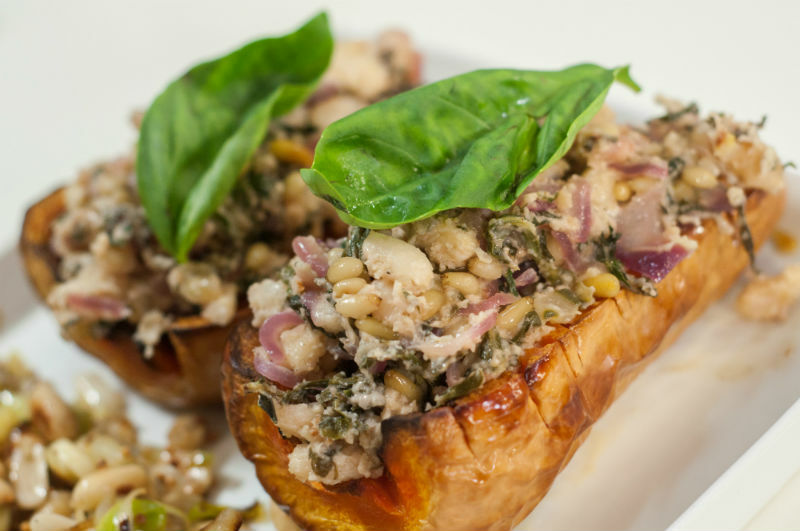 This is a great alternative to Bruschetta Bread and anyone on a gluten free diet. 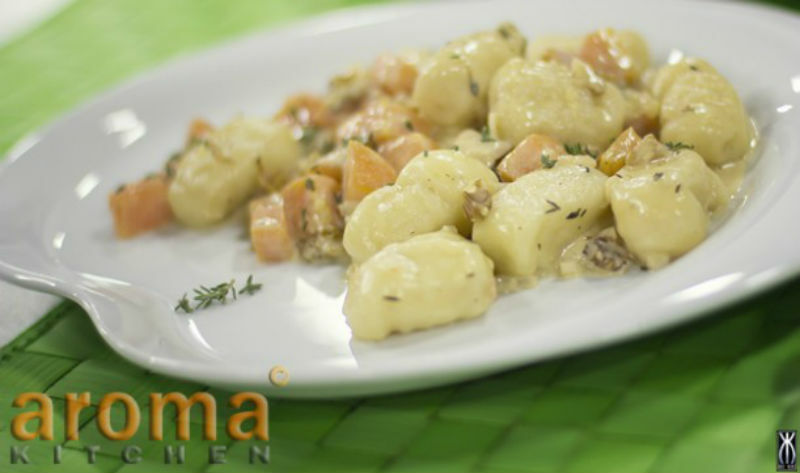 Clouds of gnocchi nestle themselves in a creamy sauce amongst sweet hunks of butternut squash, fresh thyme and Parmesan cheese topped up with chopped walnuts. Yummy! This veggie roast is really satisfying to make and the pastry is brilliantly quick and simple. 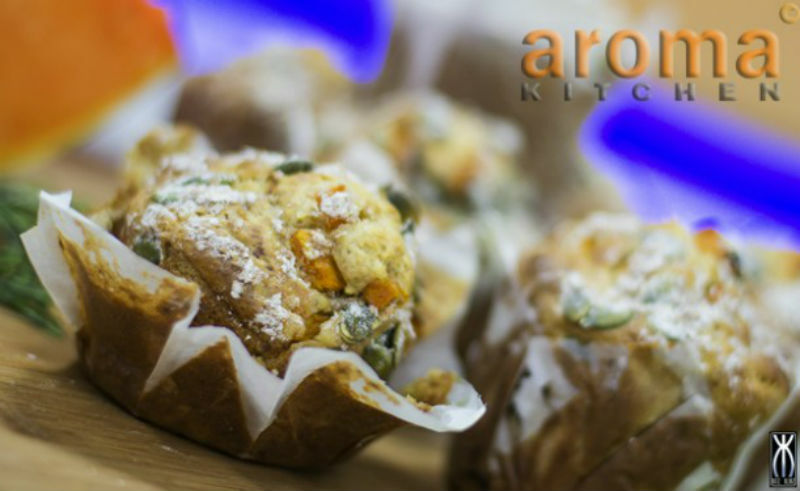 Fill your house with the delicious aroma of freshly baked Pumpkin and Rosemary muffins. 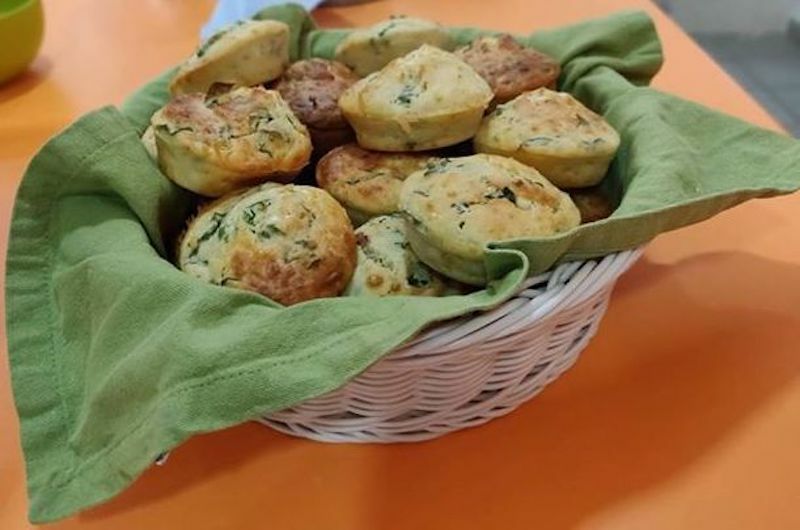 These savoury muffins are a perfect healthy snack. 2 thumbs up for this basic creamy tomato sauce seasoned with garlic, oregano and basil! Impress everyone by serving these simple delicious dumplings as an oriental starter or as a snack. 1.Put the polenta and flour into a bowl, add your beer, and leave to sit for a few minutes. 2.Add the corn, sliced spring onions, grated cheese and a pinch of salt and pepper and use a fork or a spoon to mix it up really well. 4.You want the oil to reach about 180ºC, so if you don't have a thermometer get a small piece of potato and drop it into the pan. When it turns crisp and golden and rises to the top, the oil is ready to go. 5.Get a tablespoonful of mix and carefully drop it into the hot oil. Cook the dumplings in batches. 6.Keep your eye on them and let them fry for about 3 to 4 minutes, then remove with a slotted spoon and drain on a plate lined with kitchen paper. 7.Sprinkle over a tiny bit of sea salt and a hit of paprika to finish them off, and serve right away. Try out this easy zucchini and potato recipe.... it is great for lunches, picnics or a quick snack. 1.Preheat oven to 180C. Grease and line a 26 x 16cm (base measurement) slice pan. 2.Prepare the potato mash as per packet instructions and set aside. 3.Wash thoroughly the lentil mix and bring to boil, then simmer until tender and drain. 4.Heat the oil in a large non-stick frying pan over high heat and cook the onion, stirring, for 3 minutes or until soft. 5.Stir in the garlic for 1 minute or until aromatic. 6.Whisk the eggs, egg whites and flour in a large bowl until smooth. 7.Whisk in ricotta until just combined. Stir in the potato mash together with the onions and garlic mixture, lentils, zucchini, chives and parsley. 8.Pour the mixture into the prepared pan. 9.Bake for 25-30 minutes or until golden and cooked through. Set aside to cool slightly. 10.Meanwhile, slice the tomatoes and add to the rocket leaves. Drizzle with balsamic vinegar. 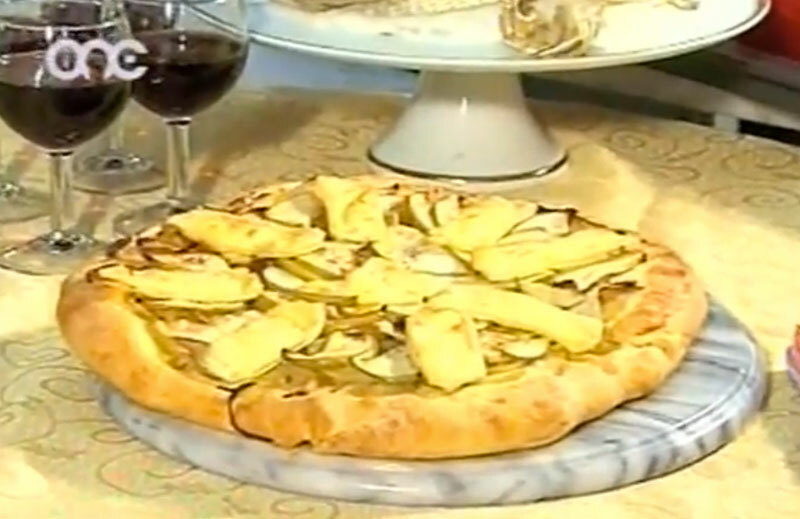 11.Serve along with a zucchini and potato slice. 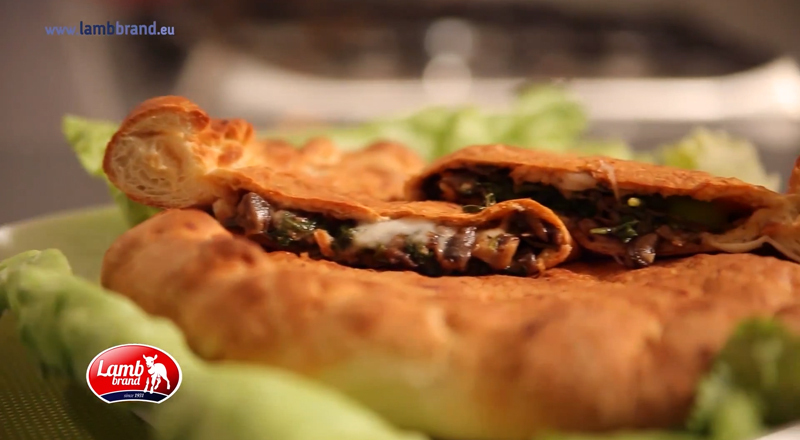 Try out these easy folded warm, cheesy, delicious, mouth watering Calzone Pizza! 1.First, make your pizza dough as per packet instructions. Preheat the oven on full, then tear the pre prepared dough into four pieces and roll each one out on a floured surface. 2.Get them roughly circular, sized around 30cm across. Set aside and prepare toppings. 3.Pour a large lug of olive oil into a hot frying pan. Add the mushrooms and toss briefly in the hot oil before adding the sliced garlic and the thyme. Fry until the mushrooms are cooked and smell fantastic. Drop in the butter and toss the mushrooms in it to make them tasty and shiny. Season with a little salt and pepper. 4.Add the tomato sauce to the pan and stir. Cook for a few minutes, then add the spinach in small batches and stir again. Simmer away the liquid until you're left with a thick, tasty mixture that's not too moist (otherwise it will burst through the dough when you're cooking the calzone). 5.Divide the mushroom and spinach mixture evenly between the four pizza bases and spread it out nicely. Top with pieces of mozzarella and season with salt and pepper. 6.To make your calzone, carefully lift the far edge of the pizza dough and pull it over the top towards you – you basically need to fold it in half. 7.Crimp the edges so none of the filling can spill out. Place the calzone side by side on a floured baking tray (use two if you need to). 8.Cook for 10 to 15 minutes on the bottom of the preheated oven until the dough is puffed up and golden on top and the filling is hot. Try out these two mouth watering flavoured focaccias. Ideal to serve as starters. 1.Place the flours and ½ tablespoon of sea salt into a large bowl, and make a well in the middle. 2.Add the yeast and sugar to the lukewarm water, and mix with a fork. 3.Leave this for a few minutes and, when it starts to foam, slowly pour it into the well, mixing with a fork as you go. 4.As soon as all the ingredients come together, which may take a minute or so, knead vigorously for around 5 minutes until you have a smooth, springy, soft dough. 5.Lightly oil a large bowl with some olive oil and transfer the dough to the bowl. Dust with a little extra flour, cover with a tea towel and leave to prove in a warm place for 30 minutes until doubled in size. 6.While the dough is rising, preheat your oven to 220°C and prepare the toppings. 7.For the balsamic onion topping, fry the sliced onions and thyme leaves in 2 tablespoons of olive oil over a low heat for about 5 minutes. Add the balsamic vinegar, reduce for a minute or two, and then leave to cool. 8.For the basil and cherry tomato topping, roughly chop the basil leaves and pop them into a bowl with the cherry tomatoes. 9.Season with salt and pepper, a drizzle of extra virgin olive oil and a tiny splash of white wine vinegar. Add the garlic and mix it all. 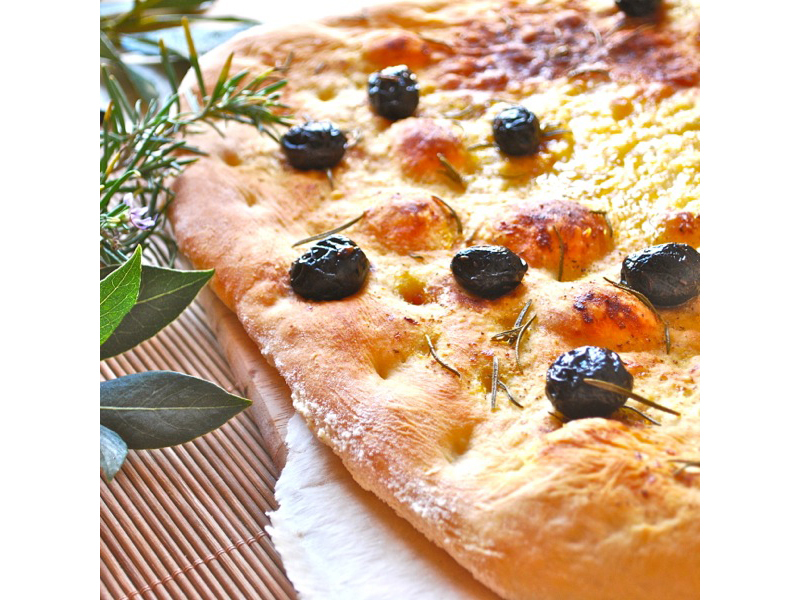 10.To cook the focaccia, as soon as the dough has risen, pound it then place on a baking tray and spread it out to cover the tray. Push down roughly on top of the dough like a piano to make lots of rough dips and wells. 11.Bake for 20 minutes or until golden on top and soft in the middle. This is a healthy and awesome tasty dish that weight watchers or not would love. Heat the oven to 180-200 °C. Halve the butternut squash, scoop out the seeds and score the flesh with a sharp knife. Arrange the two halves on a baking tray, drizzle with a little olive oil, season with freshly ground black pepper and sea salt, sprinkle with dried oregano and cook for 40 minutes. 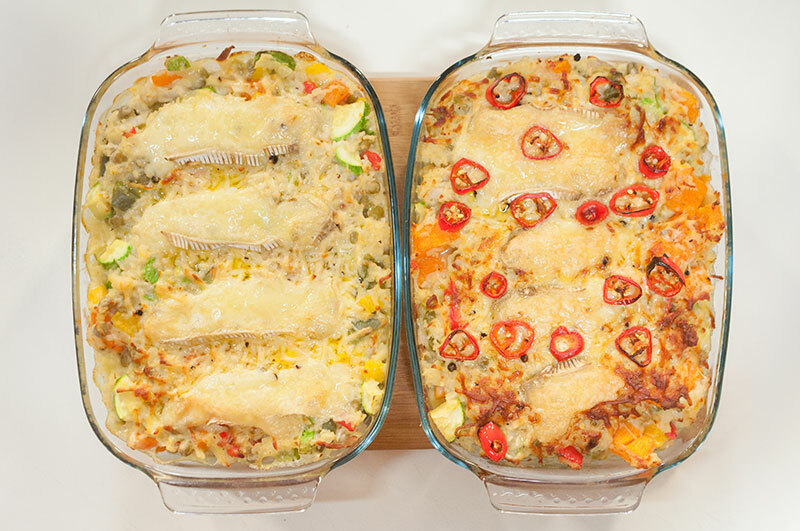 Take out of the oven, add the chopped peppers to the tray alongside the squash and cook for a further 10 minutes. Meanwhile mix the rest of the ingredients and prepare couscous as per packet instructions. Take the tray out of the oven and carefully transfer the peppers to the stuffing mix. Stir together and spoon the filling onto the butternut squash. Return to the oven for 10 minutes. Serve. 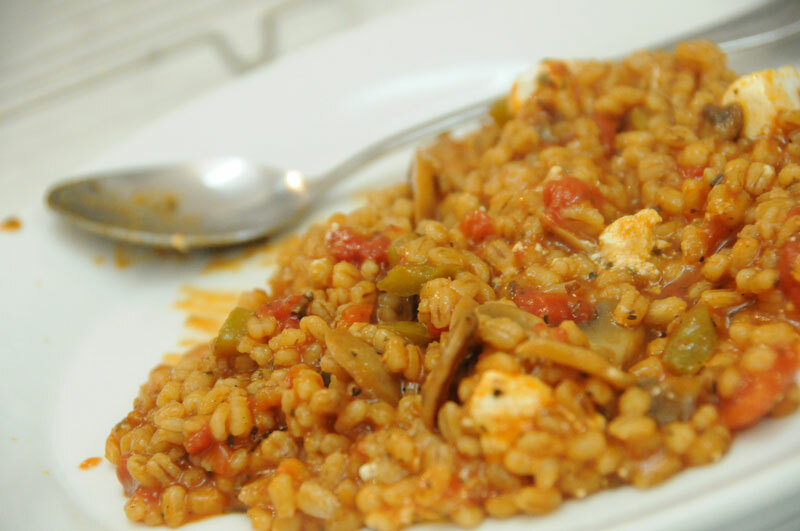 This is not your usual Risotto however some fresh goats cheese really brings out the flavour. The texture of the cheese blends in nicely with the Risotto. 1. Heat the stock in a saucepan. 2. In a separate pan, heat the butter, then add the onion, bacon and thyme and fry for about 8 minutes until the onion is soft but not coloured. Add the rice and turn up the heat so it almost fries. 3. After a minute the rice will look slightly translucent. Add the wine and keep stirring. 4..Now add a ladle of hot stock and a pinch of salt. Turn down the heat to a fairly high simmer. Keep adding ladleful’s of stock, stirring constantly and allowing each ladleful to be absorbed completely before adding the next. 5. Chuck the peas into the stock when there are a couple of ladleful’s left, and add them with the stock. Stir until the rice is soft but still has a slight bite, then season with salt and pepper. 6. Remove from the heat and stir in half the goat's cheese and the Parmesan. 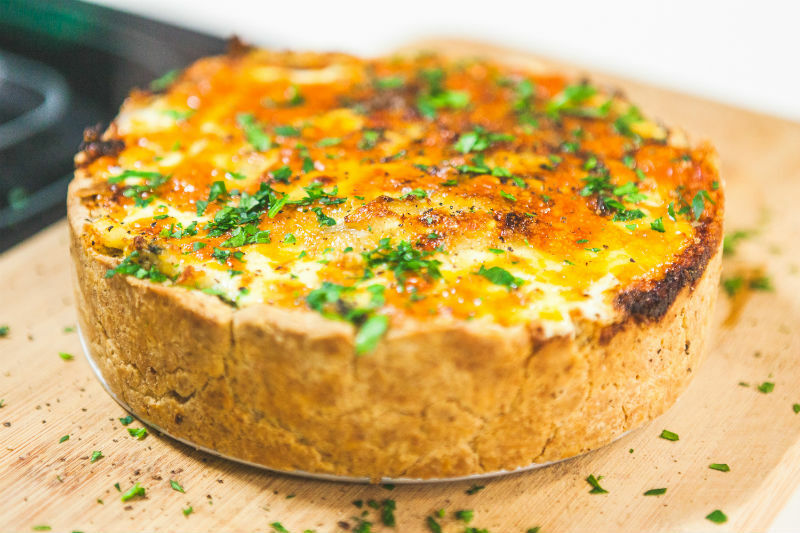 Sprinkle the remaining goat's cheese over the top and eat as soon as possible while it retains its lovely moist texture. TIP: Remove the bacon and replace the stock for a vegetable one if you would like to turn this into a vegetarian risotto. 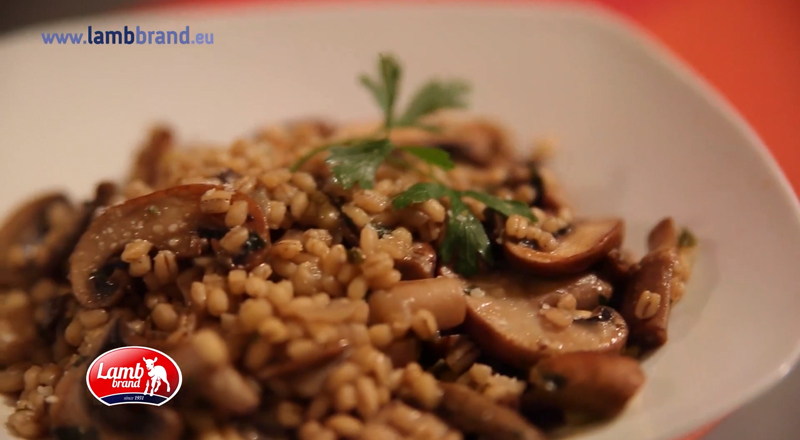 This tasty mushroom barley risotto goes well as a main dish or as a side dish with steak. 1. Heat the olive oil in a large, heavy-bottomed saucepan over medium heat. Sauté onion until it starts to brown, about 5 minutes. 2. Add the mushrooms and sauté until they have released all of their liquid and are golden brown, about 10 minutes. You can add 1 to 3 tablespoons of water if they start to stick. 3. Stir in the herbs and garlic, then add the barley and stir to coat for 1 minute. Add 4 cups of the broth and bring to a boil over high heat. 4. Cook for 15 minutes, stirring occasionally, until most of the liquid is absorbed. Reduce the heat to medium and add more broth, ½ cup at a time, stirring until each addition is absorbed, until the barley is tender but still slightly firm. You may not use all of the broth, but you will use most of it. 5. Remove the pan from the heat and add the butter and cheese, stirring until incorporated. Season with salt and pepper, to taste. 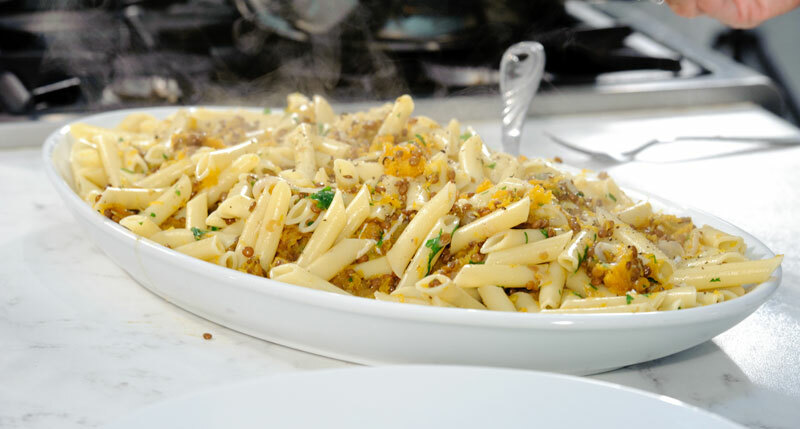 A tasty Pasta dish incorporating red lentils for some extra nutrients and a pop of flavour and colour. 1.Rinse the lentils under running water. 2.Put lentils in a pan. Cover with water to about 3 inches above lentils. Cook for 10 minutes, drain and set aside. 3.Heat the oil in a large frying pan and add the fresh chopped parsley. 4.Pound the garlic in the marble pestle and mortar to break down infusing the flavours into the mixture. 6.Cook the mixture over a medium heat for about 10 minutes, stirring occasionally. 7.Add the chopped aubergine to pan, pour in half the water and crumble the stock cube, stir until dissolve then cover and cook stirring frequently for about another 10 minutes. 8.Add the tomatoes, cooked lentils, wine, sugar, paprika, basil and season to taste. 9.Pour in the remaining water. Stir well, cover and cook for a further 30 to 40 minutes. 10.When the mixture cools, process in a food processor and reheat in a pan when needed. 11.In a large pot of boiling water, add salt and some oil then pour in the tortelloni and cook until al dente for about 12 minutes. 12.Drain well, return to the pot and toss with the sauce. This Couscous salad is perfect as a vegeterian main meal, to carry as a packed lunch or perhaps as a side to compliment your BBQ foods this summer! 1.Soak the chickpeas for a minimum of 5 hours or overnight, changing the water from time to time, if possible. 2.Rinse the chickpeas, put them in a small saucepan, cover with water and bring to the boil. Simmer gently until cooked. When ready drain them and set aside. 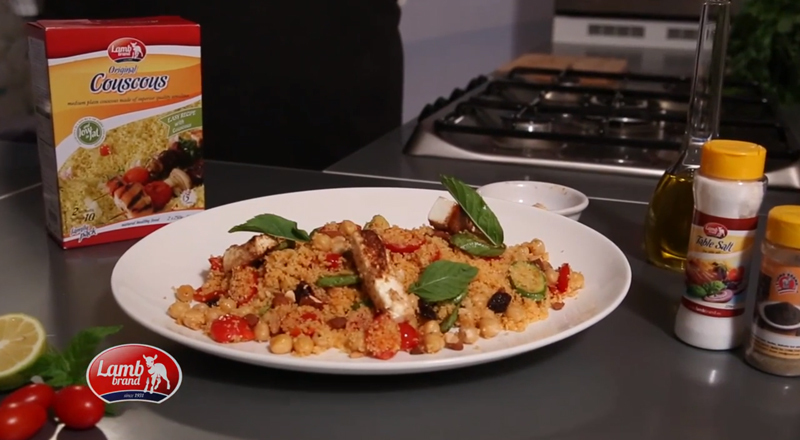 3.Tip the couscous into a bowl, pour the boiling stock over and mix well with a fork. Cover with a plate and leave for 5 minutes. 4.Meanwhile, tip all the dressing ingredients into a bowl and mix well. Fluff up the couscous with a fork, stir in the chickpeas and follow with half the dressing.Mix well and pile on to a large serving dish. 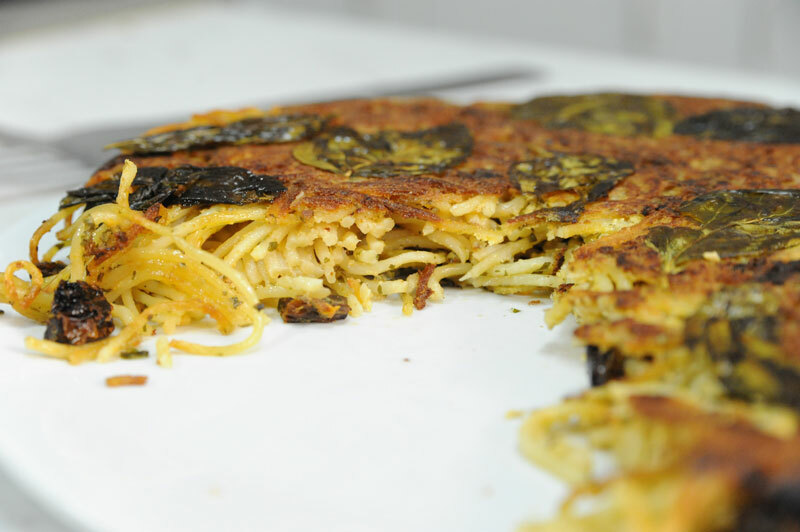 5.Heat 1 tbsp oil in a large frying pan and fry the courgette slices over a high heat for 2-3 minutes until dark golden brown. Lift out on to kitchen paper. 6.Put the tomatoes cut-side down into the pan, and cook for another couple of minutes until tinged brown on the underside. Top the couscous with the courgettes and then the tomatoes. 7.If the pan is dry, pour in a little more oil and heat it up, then add the feta cheese strips and fry for 2-3 minutes, turning them over from time to time, until crisp and sizzled brown. Pile on top of the tomatoes, and drizzle with the remaining dressing. Serve Immediately. 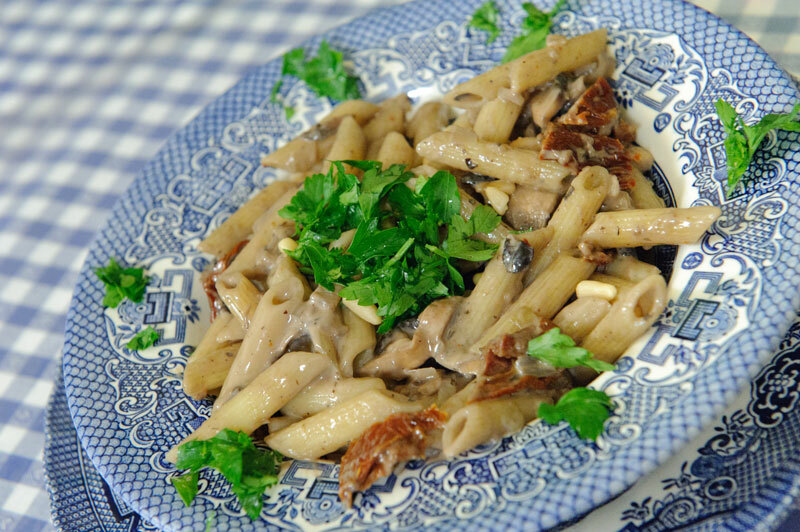 This rich pasta dish is great for everyday dinners or special occasions. 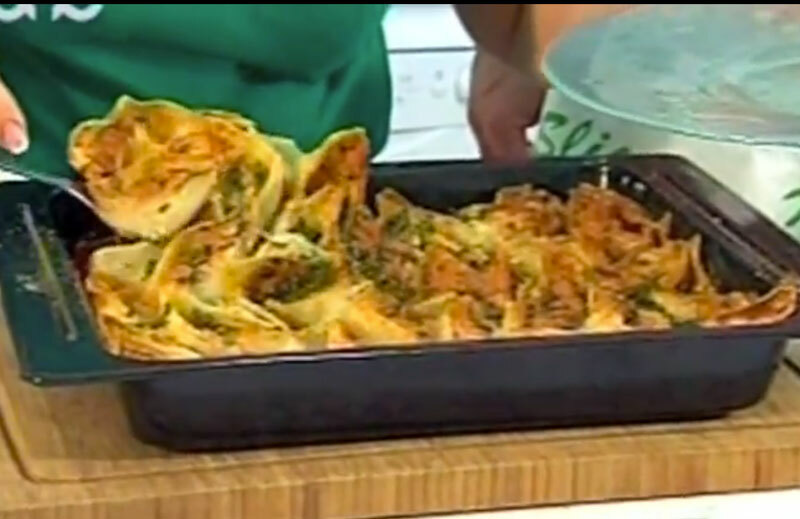 Its simple to prepare, one can come home from work and throw this dish together in just a half hour! 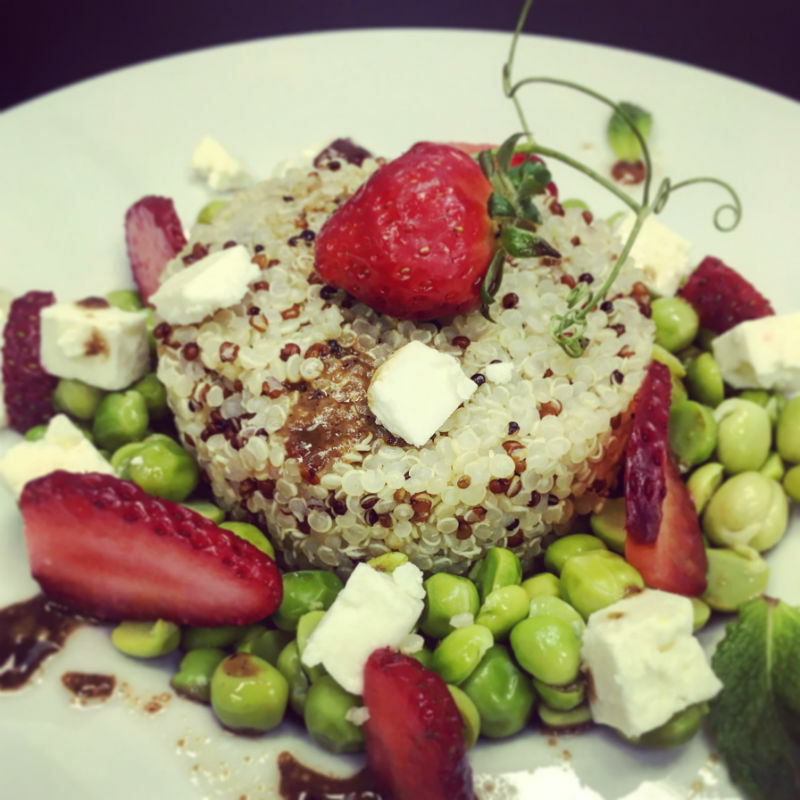 A creative way of using barley which results in a meal that is healthy, filling and flavourful. 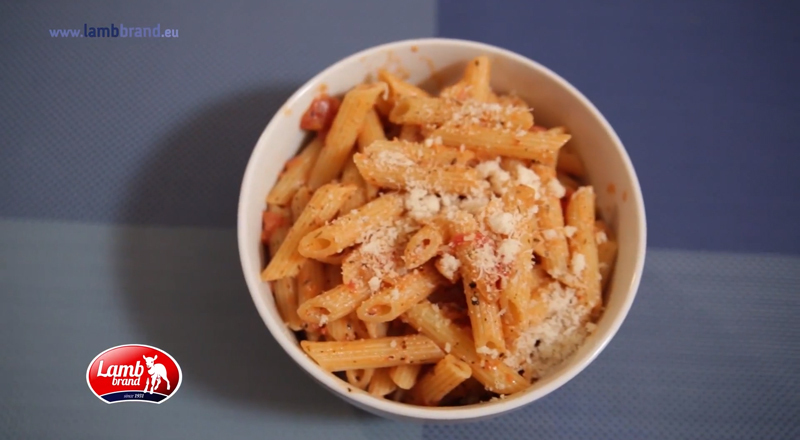 This pasta dish is very easy to make and uses ingredients that you will surely find in your kitchen. Follow this receipe to serve it as a vegeterian dish or add some cooked chicken breast, depending on your preference. 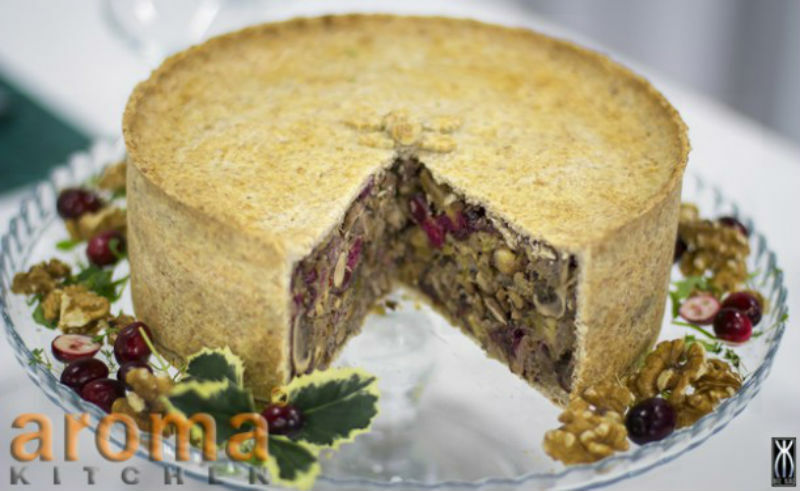 This ricotta and sultanas pie is a traditional gozitan recipe which is very popular with all the family till this very day. 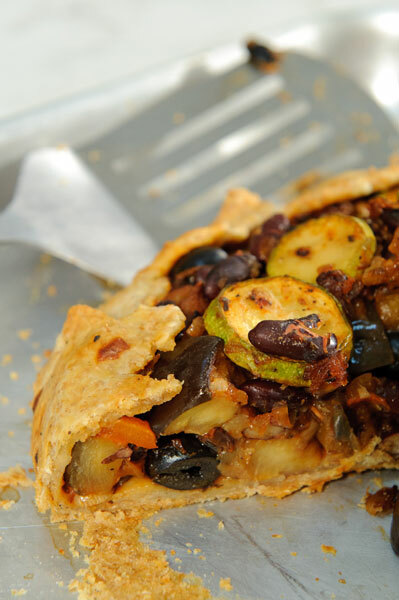 With natural healthy ingredients and an easy method this pie will be ready in no time. 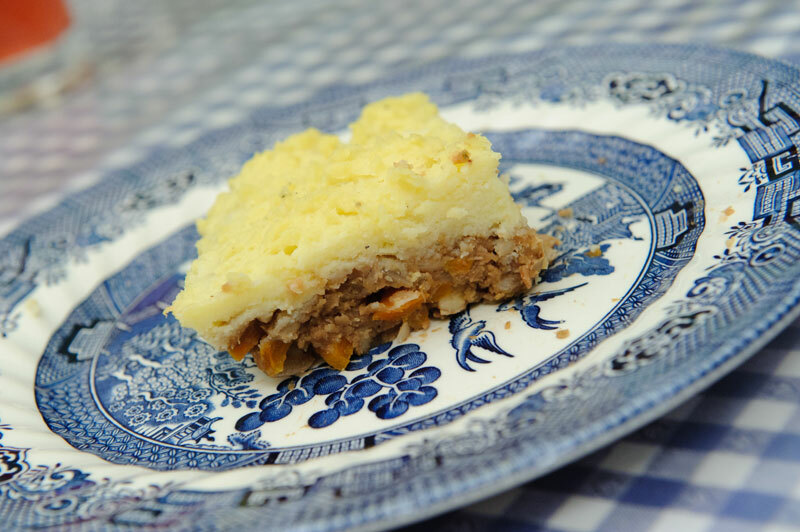 This shepherd’s pie is the ideal meal for all the family, especially those of you who are vegetarians. 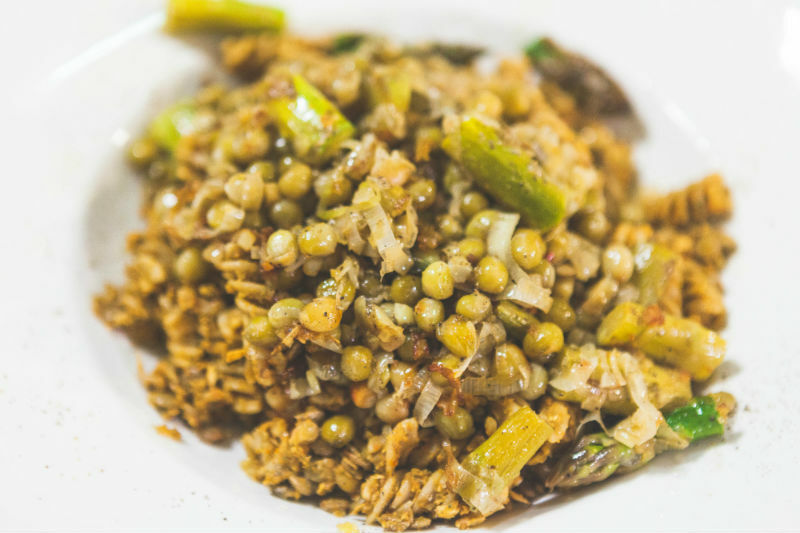 Lentils and barley replace the meat making this recipe suitable for vegetarians, while at the same time keeping the great taste and the proteins required. Hearty and filling this recipe is ideal for the colder days. 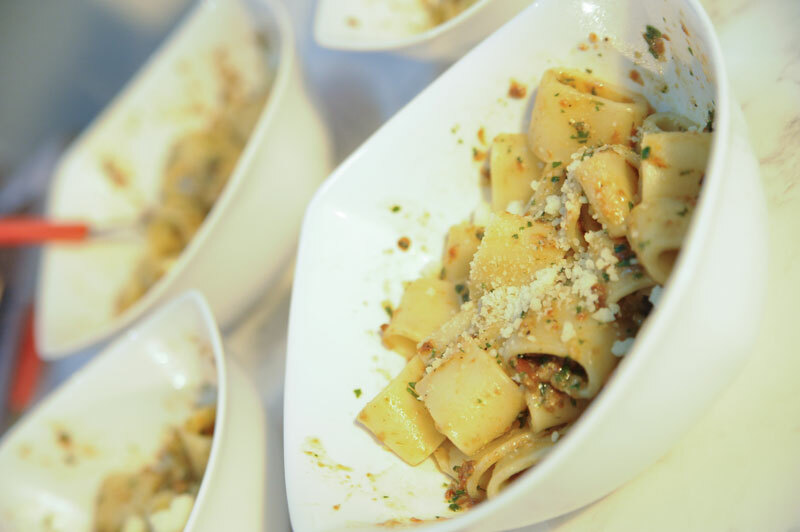 This sauce is based on the traditional bolognese recipe with a slight twist in the ingredients. Lentils are used as a subtitute for meat, making it more nutritious and suitable for vegetarians. Surely an ideal healthy recipe that all your family will love. 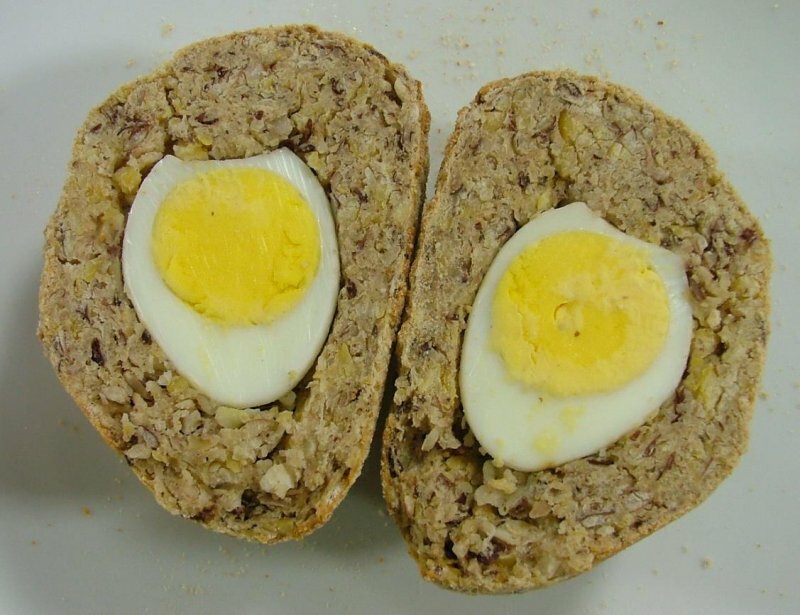 Theses vegetarian scotch eggs are made from natural ingredients and do not have meat. Thus they are ideal for an original vegetarian recipe. 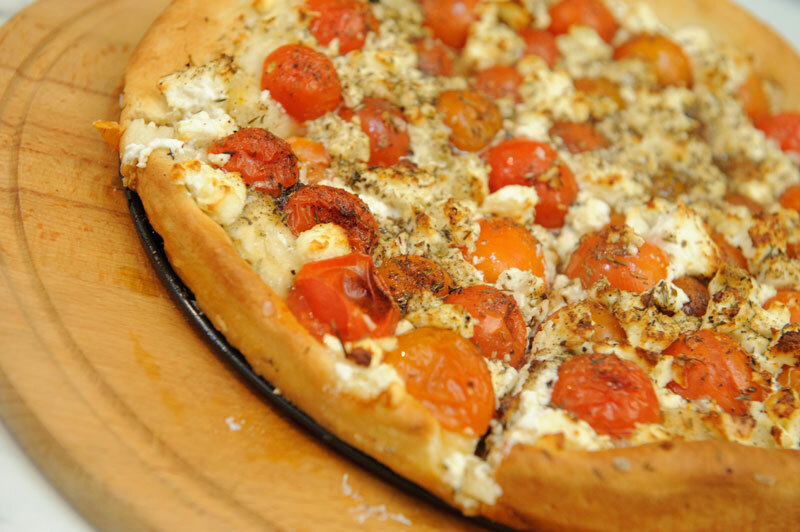 This recipe brings you the traditional Napoletan pizza with a Greek twist by adding feta cheese, bringing you a lighter healthier version that is sure to be a crowd pleaser at any party or get together. 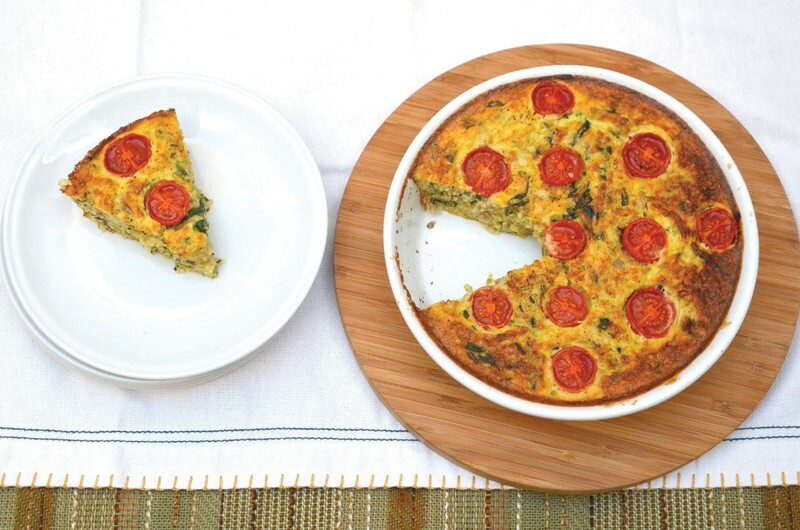 Crunchy on the outside and soft on the inside, this simple yet delicious pizza is the ideal nibbler for any party. 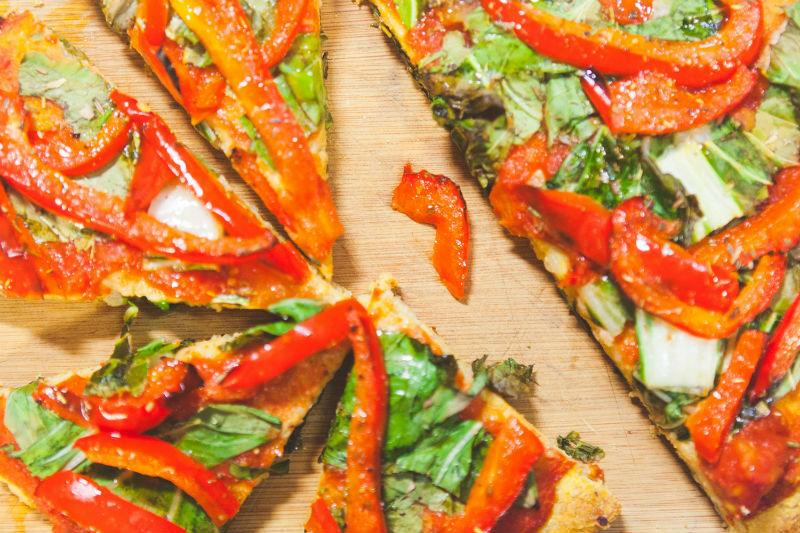 Apart from being ideal for vegetarians it also carries less calories than other pizzas, making it suitable for those of you who want a lower calorie intake. 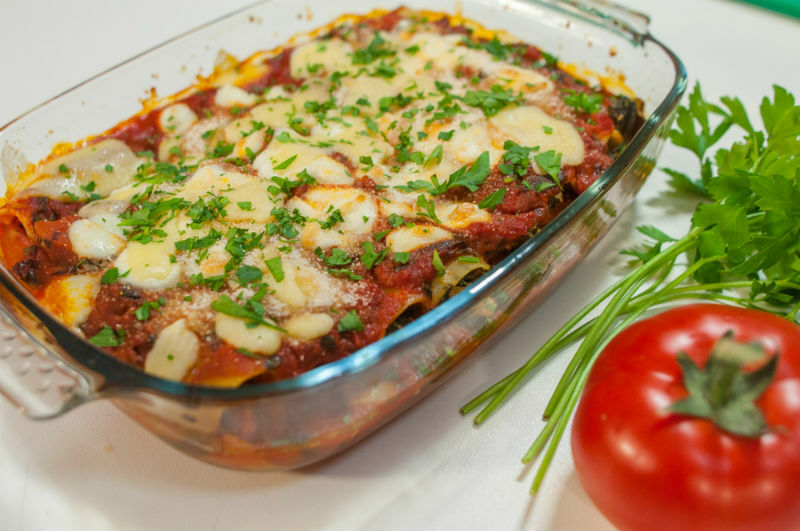 This recipe brings you the traditional lasagna with a twist. In the Italian recipe minced beef is used, however in this version we use vegetables as a replacement, making it more healthy and suitable for vegeterians. 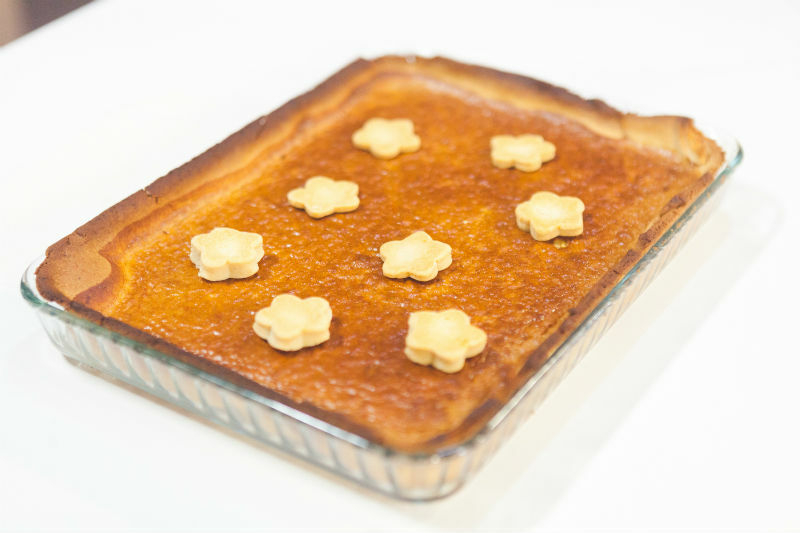 This recipe is a healthier approach as opposed to other flans, due to the fact that the dough is made from wholemeal flour and its filling includes lentils making it a more nutritious flan. Suitable as a starter or as a quick snack; small bite size pieces of this flan make for an ideal finger food for any party or event. This recipe is an alternative to the more tradiational filling. 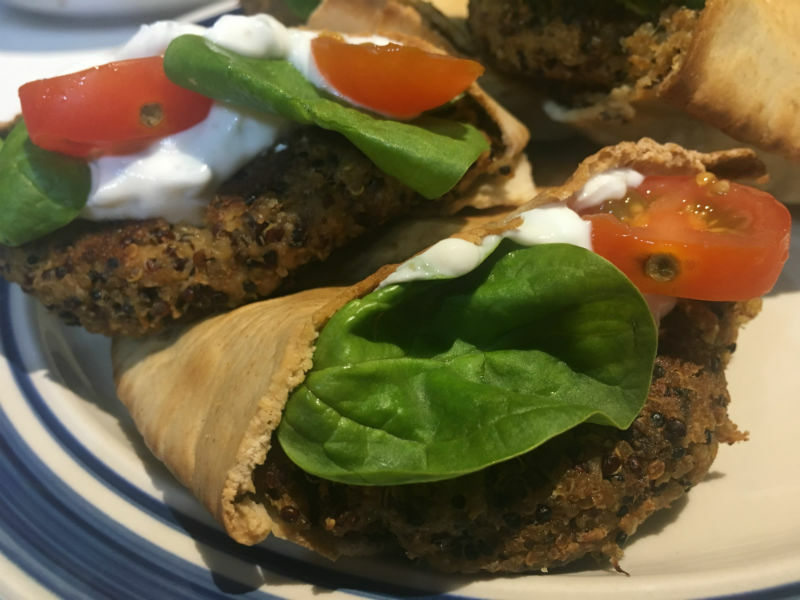 The chickpeas, sultanas and other fresh ingredients make this a very healthy recipe with low calories ideal for vegetarians. This is a simple recipe that can be prepared ahead and frozen in batches, for easy warming and eaten as a snack. A special treat for children on their return from school, just warm and serve along with fresh salad. It is also an ideal sandwich or toast filler and even served on the side with regular meals. This three bean recipe takes on tradition with a twist by adding banana and beans as a meat replacement for a healthier alternative. These two ingredients bring you a healthier exotic approach to the more traditional patties. You can add 150g bacon to enhance this recipe. This vegetable crostata is the ideal meal for all the family, especially those of you who are vegetarians. This meal is delicious served warm, however it also makes a great snack served cool during picnics. 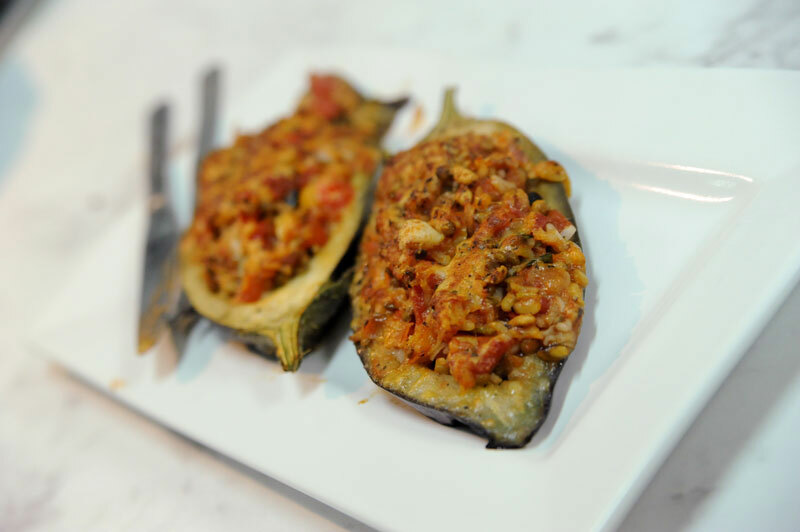 This recipe is more hearty and filling ideal for the colder months, and can be served either as a starter or as a main course meal. 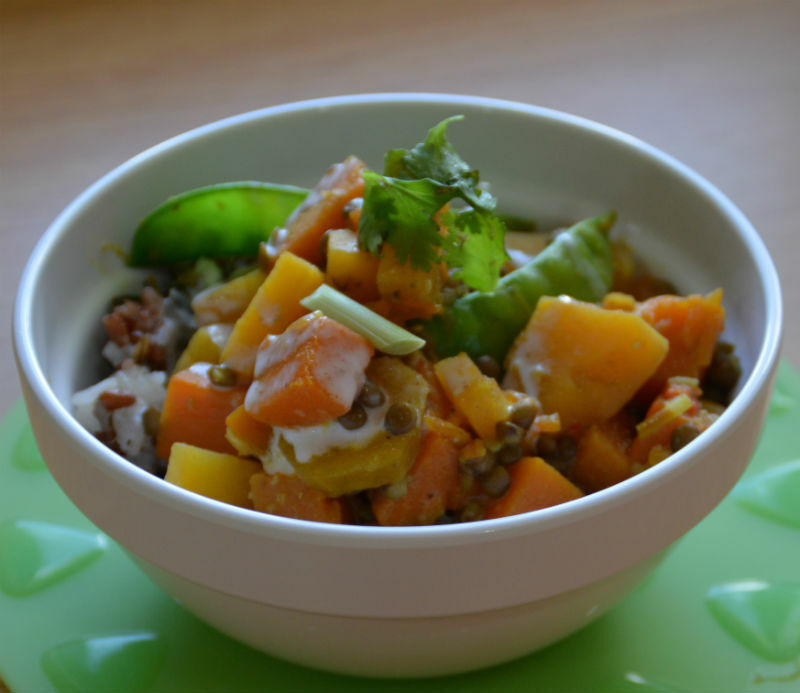 Since lentils and pumpkins are used instead of meat, it is more nutritious and is suitable for vegeterians. This is one recipe that each member of the family is sure to love. 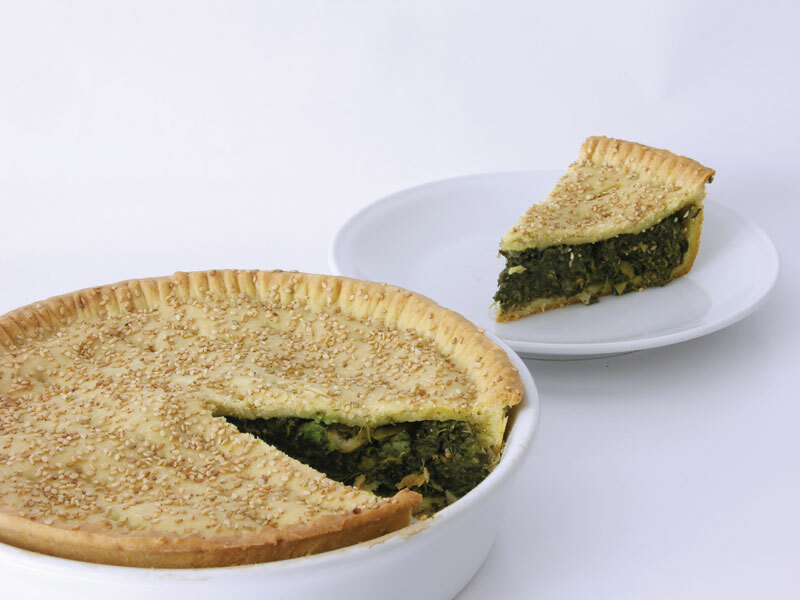 The spinach pie is one of everyone’s favourite, it is also found in various food courts and snack bars, but the home cooked version always has that particular taste. This recipe is very easy even though it does take some time to prepare and bake. It can also be precooked and frozen for later use, as it can hold for several weeks. 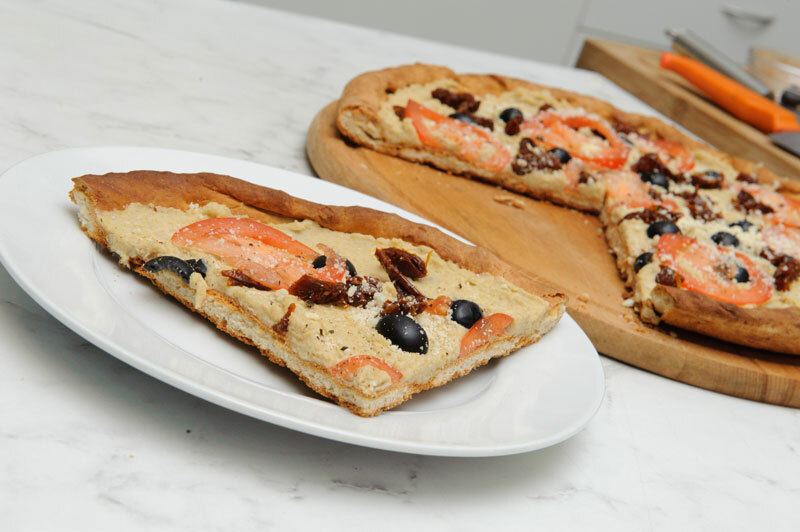 Are you looking for that special treat to serve your guests at a party, then these healthy pizzas with hummus are what you need. Healthy but tasty, you can top them with your favourite ingredients for that extra touch. 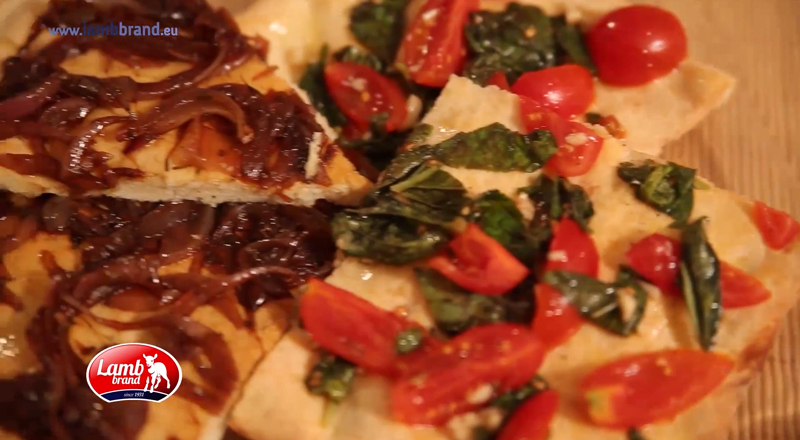 This vegeterian recipe brings you the tasty Italian Pizza Tradition with a twist. The use of pesto instead of standard tomato sauce brings you a treat like no other. A very easy recipe and indeed nutritious, can be served as a dip with pita bread, galletti or other vegetables like cucumber and celery sticks, or can be used as a spread with fresh or toasted bread. 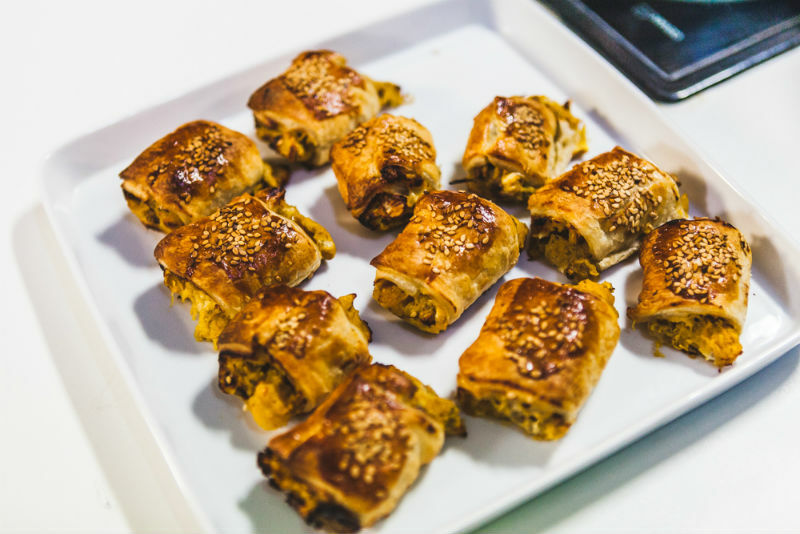 A very popular recipe especially in mediterranean countries like Morocco, Greece and Turkey. 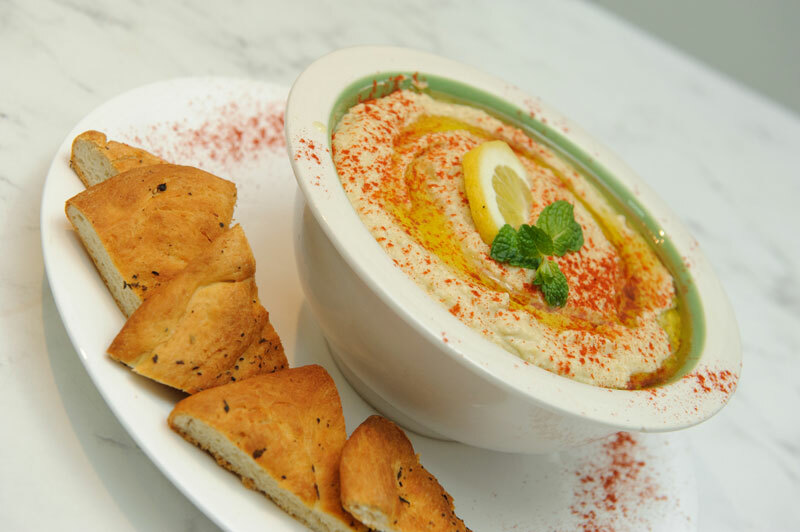 It is an ideal recipe for snacks, served either as a dip with pita bread, galletti or other vegetables like cucumber and celery sticks, or can be used as a spread with fresh or toasted bread.